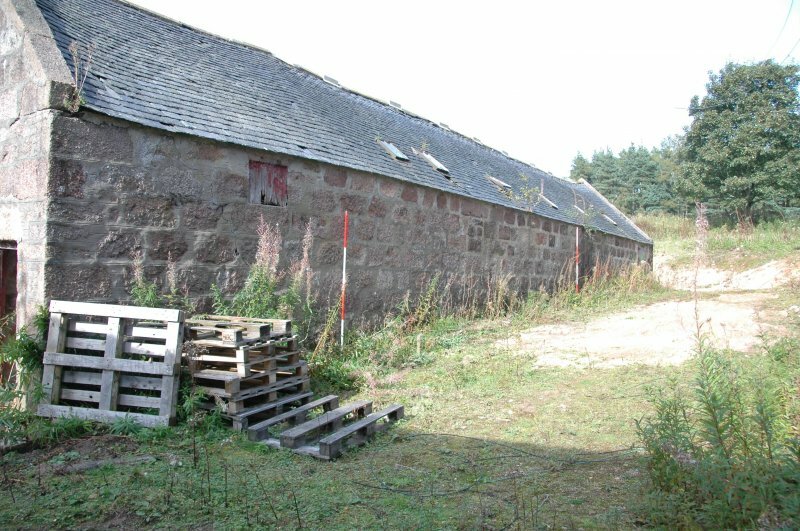 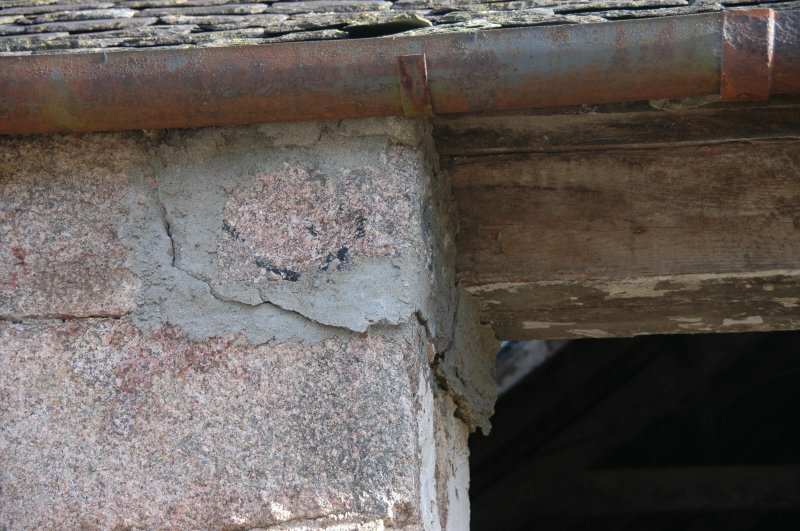 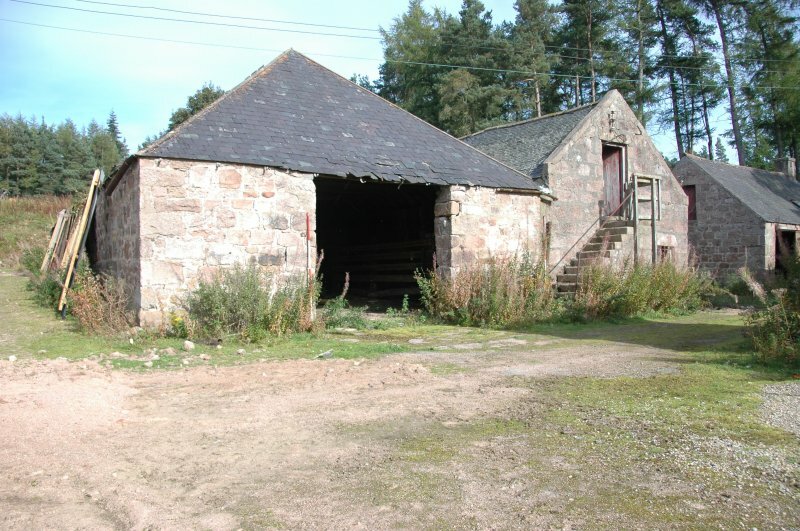 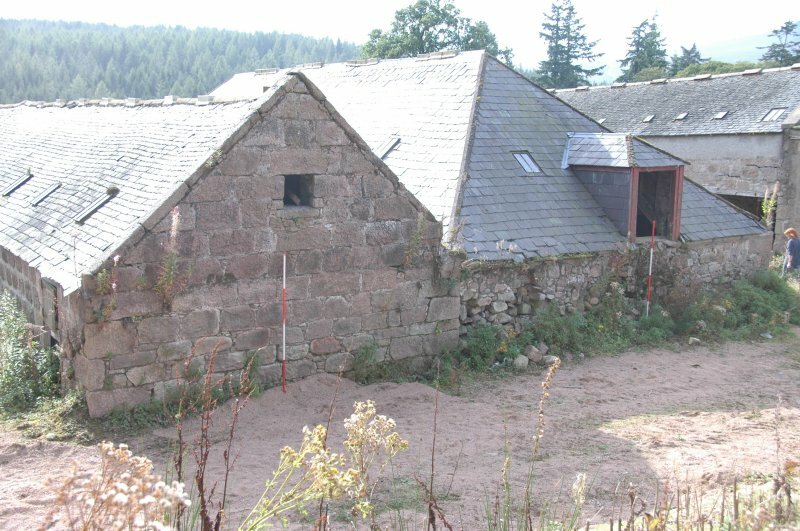 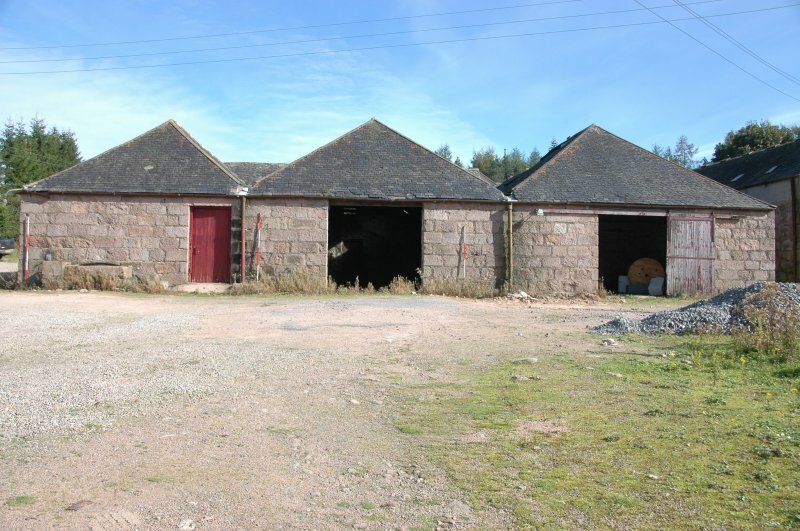 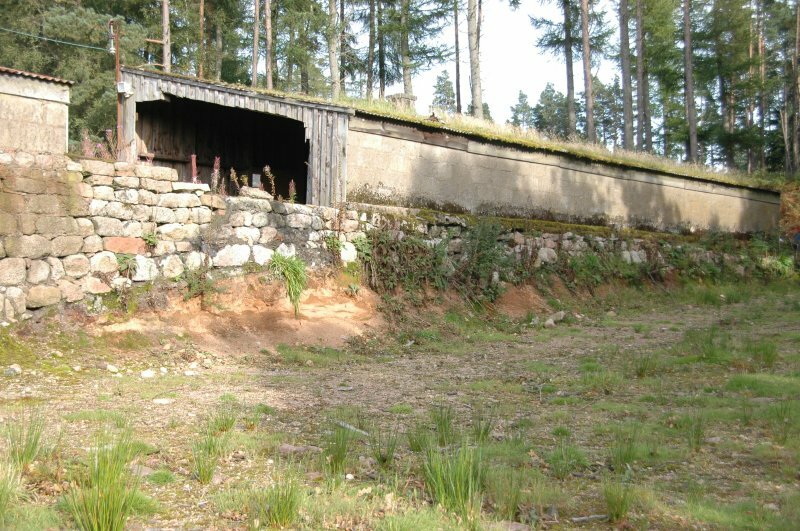 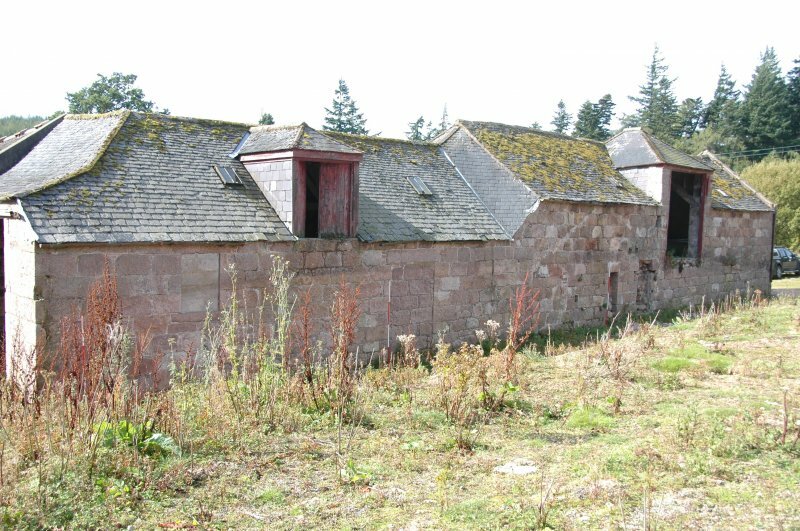 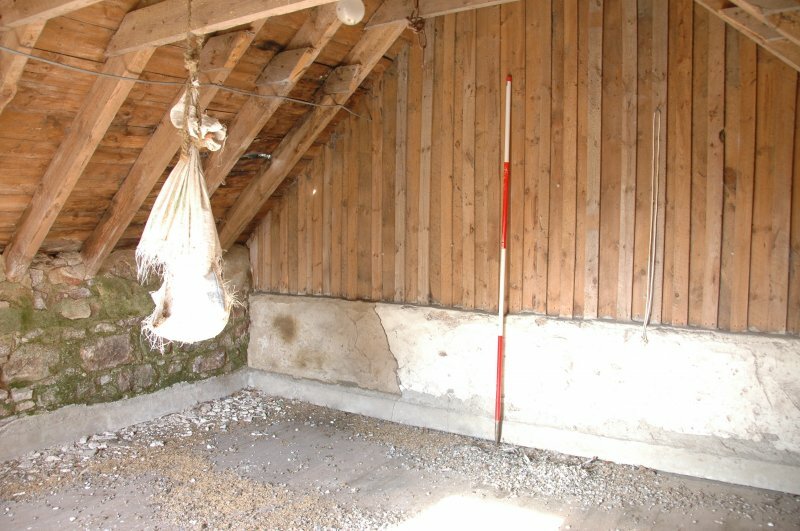 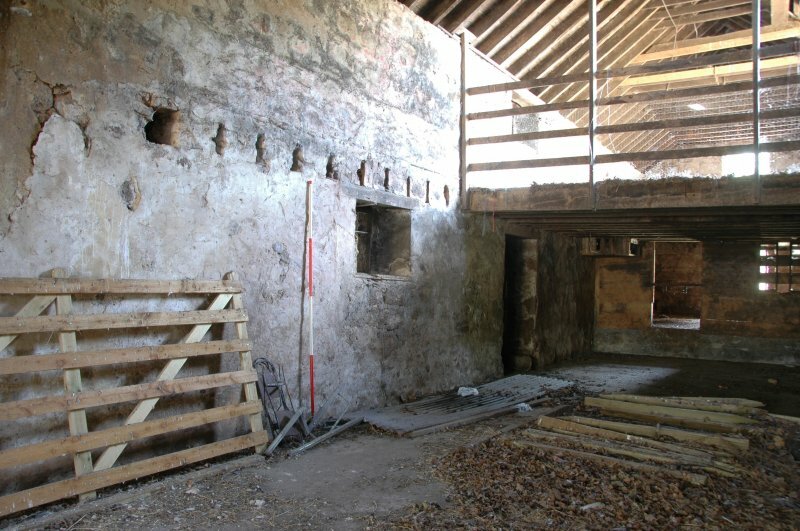 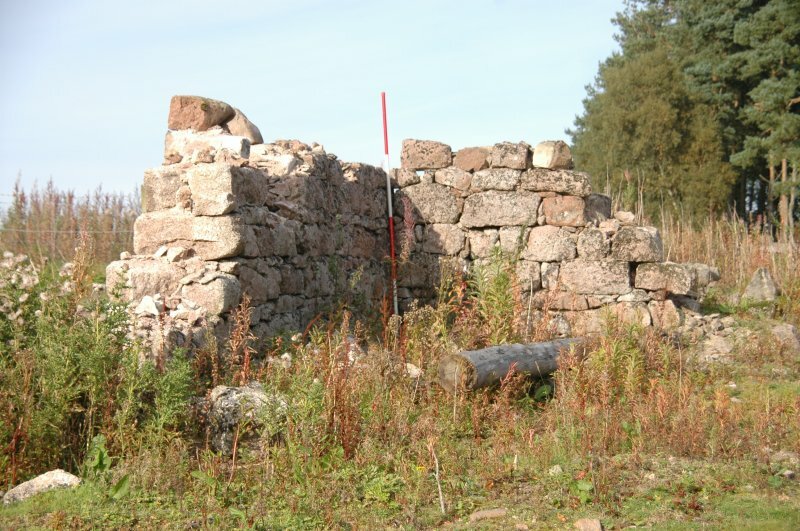 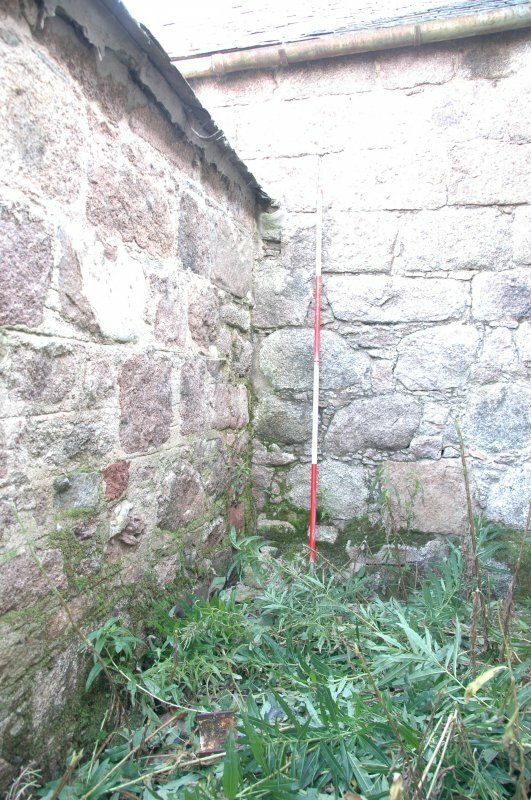 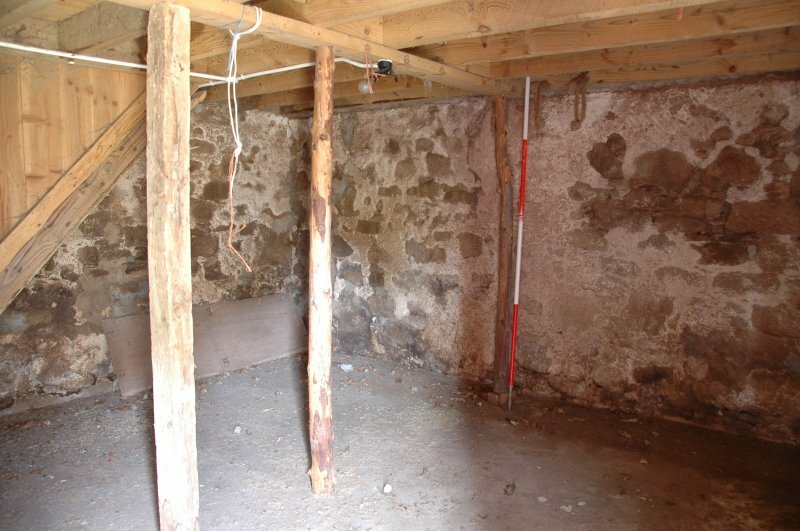 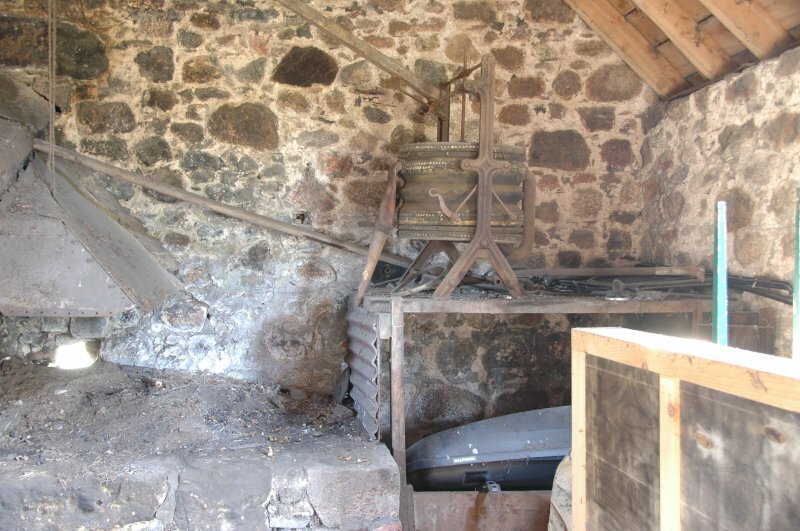 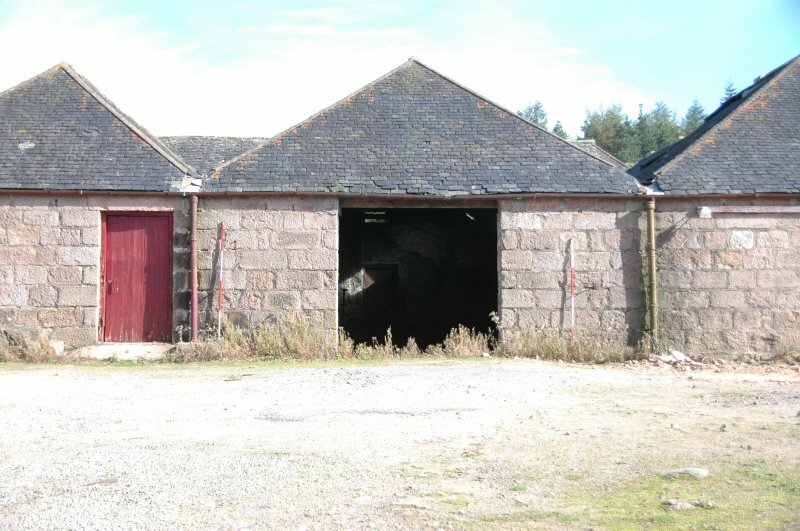 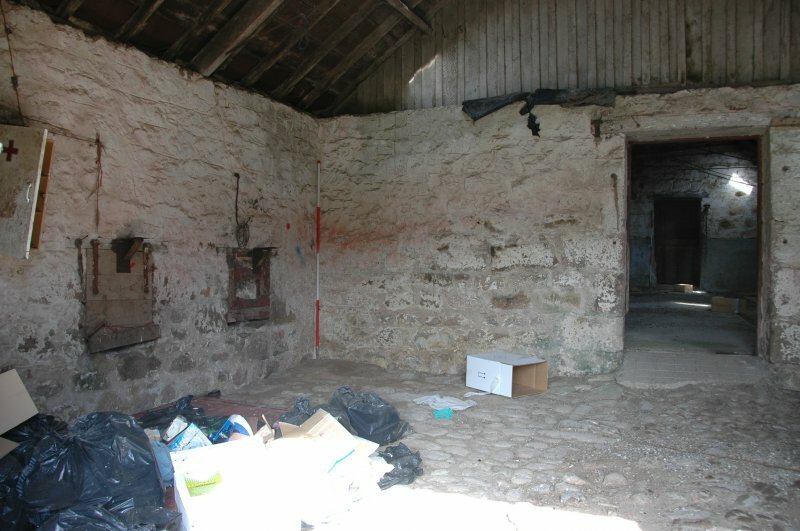 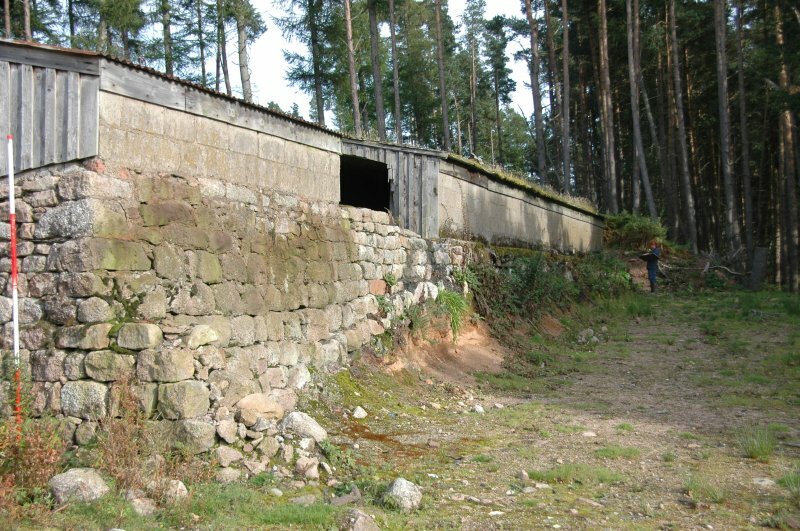 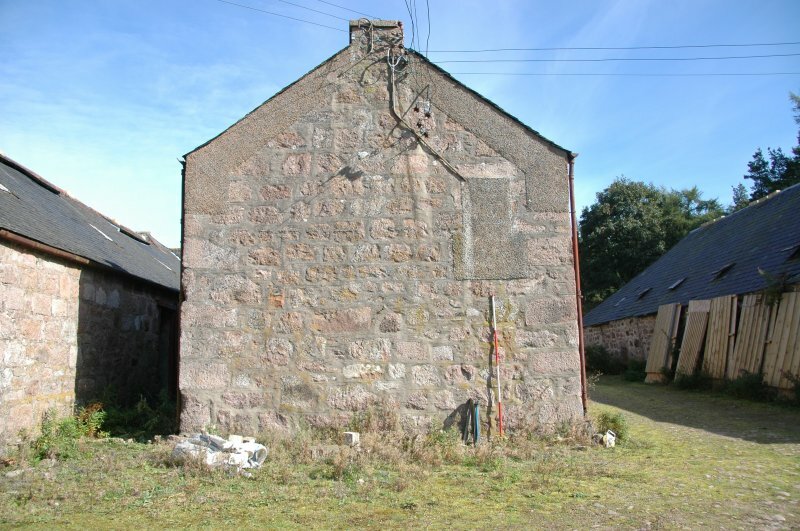 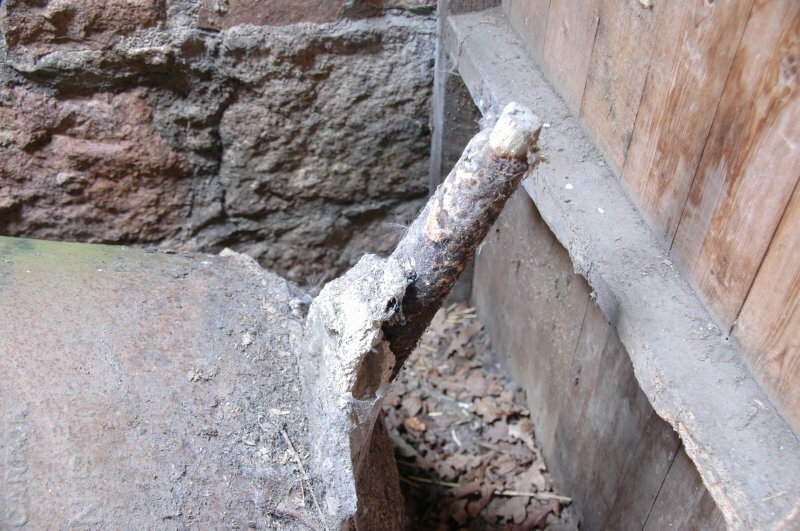 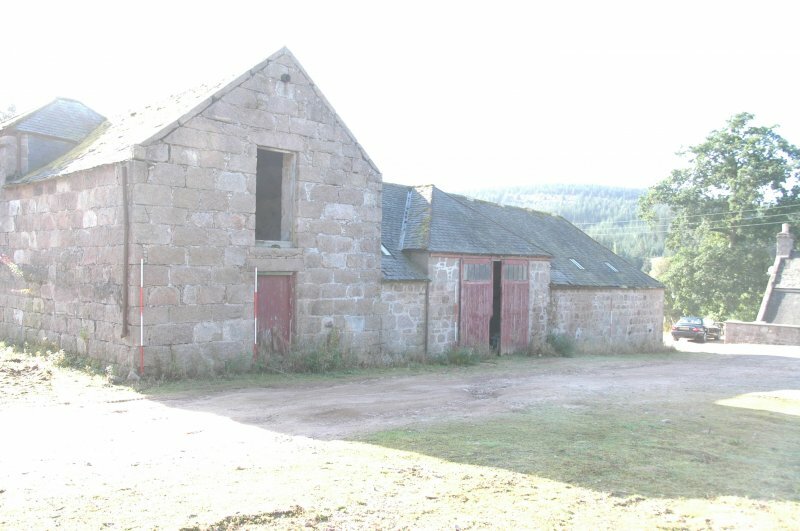 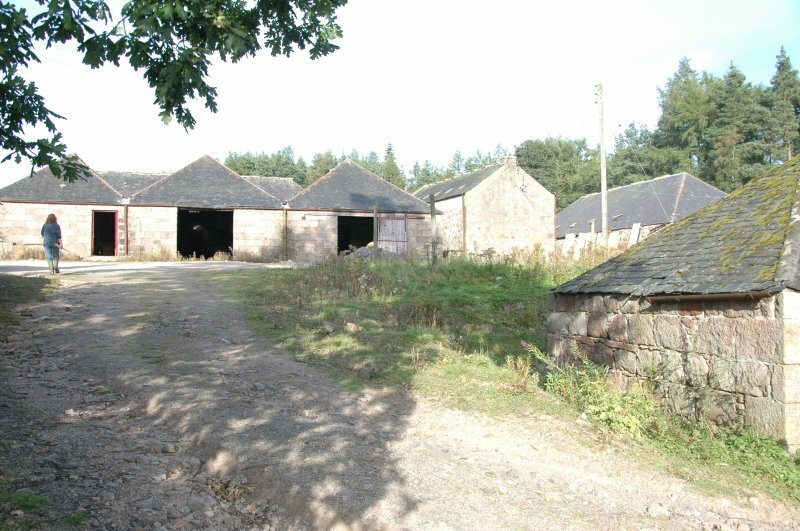 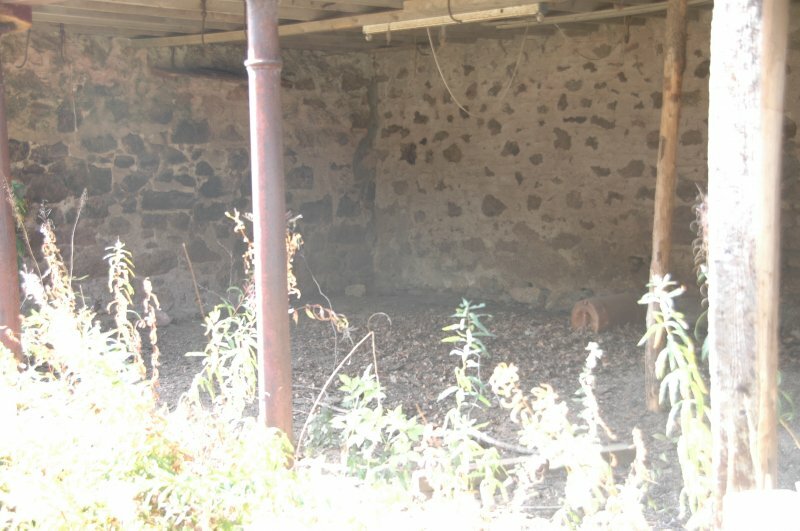 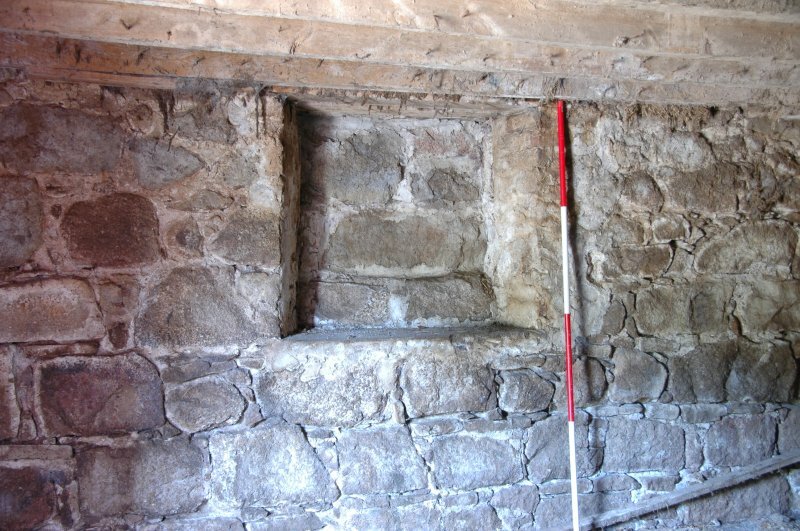 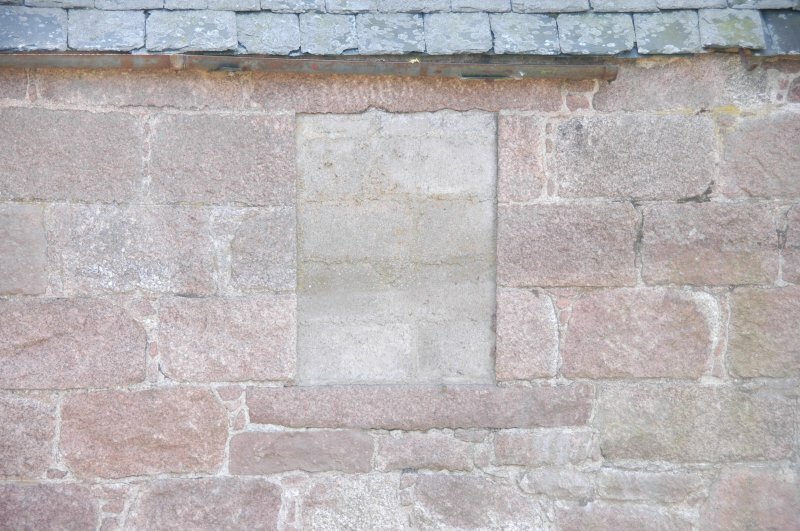 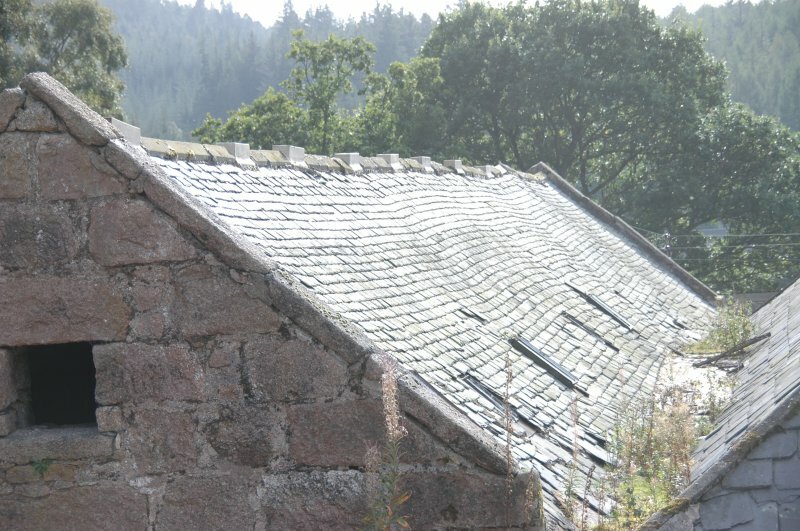 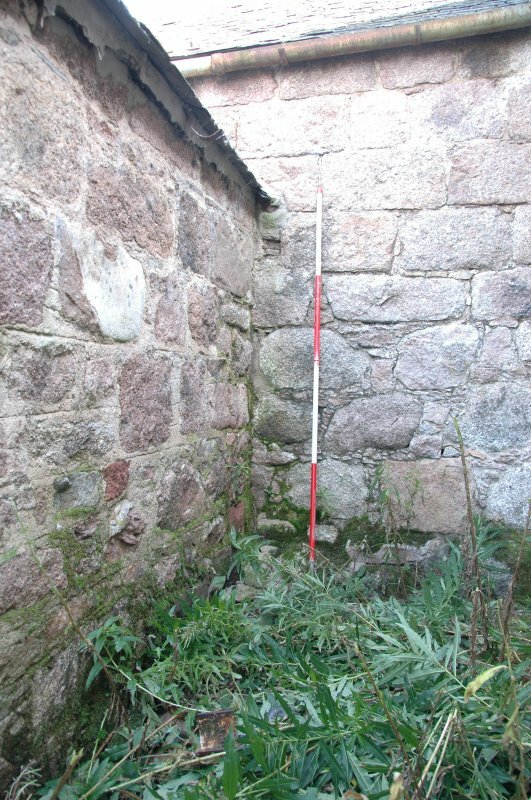 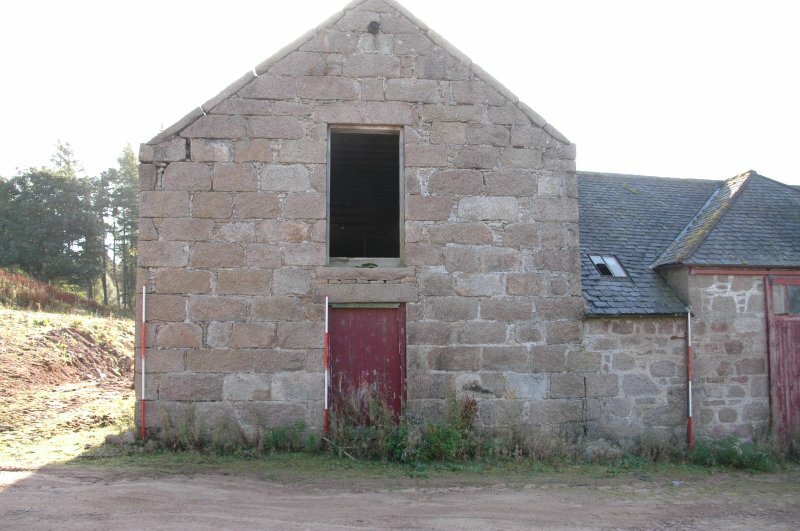 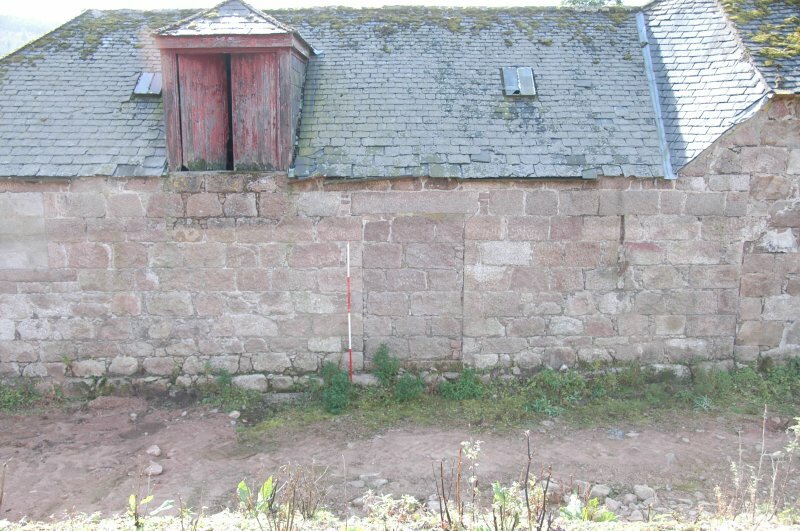 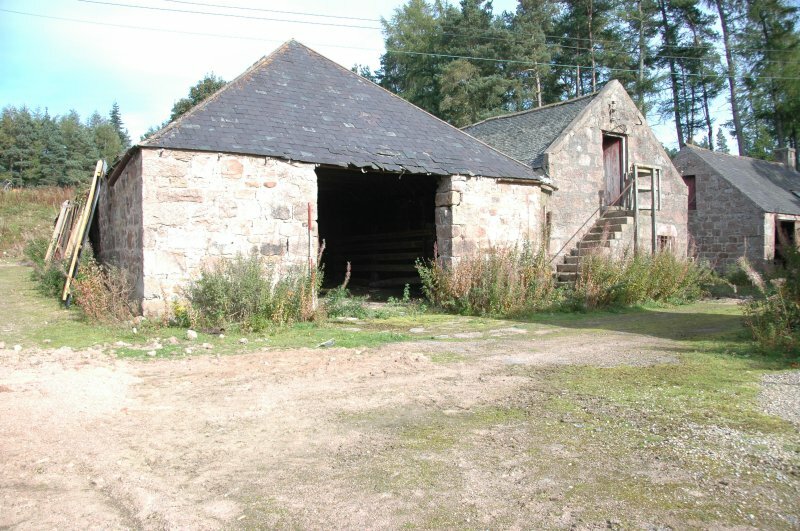 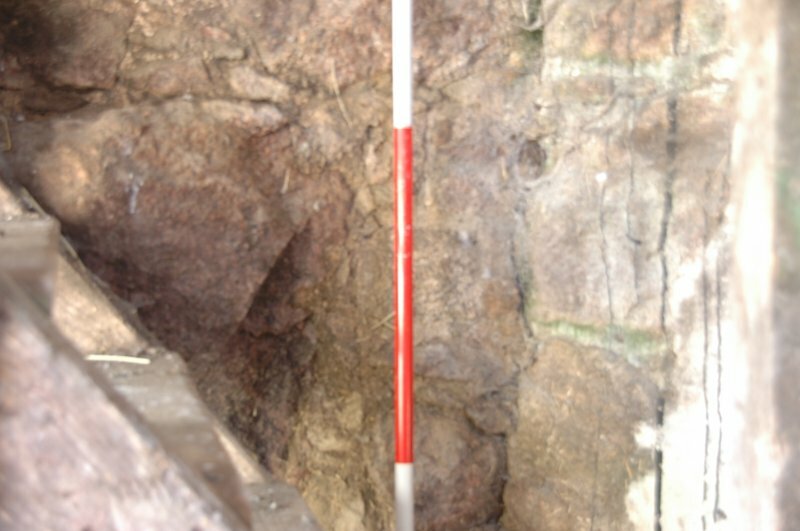 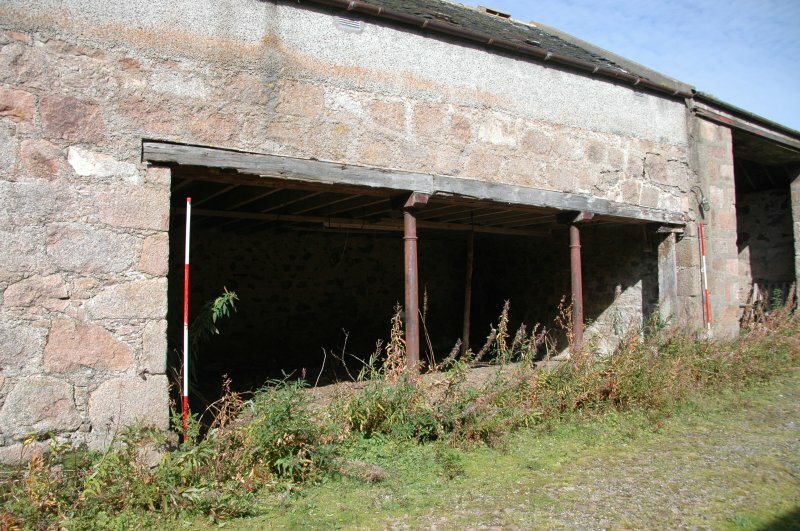 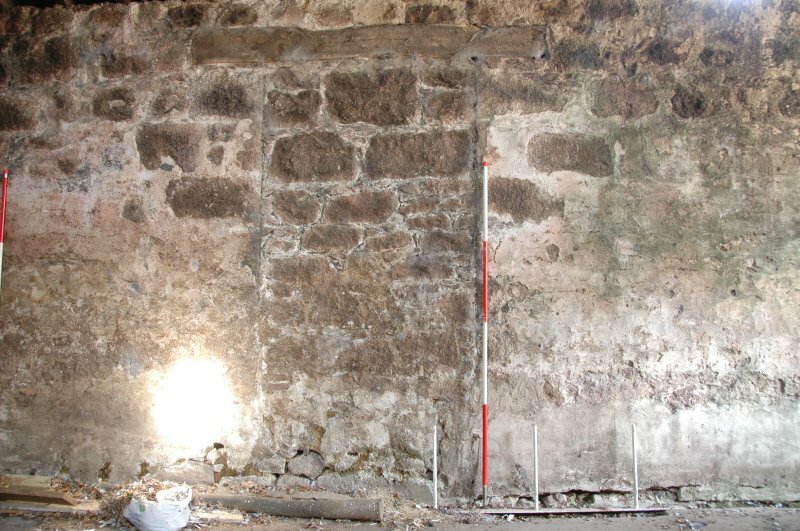 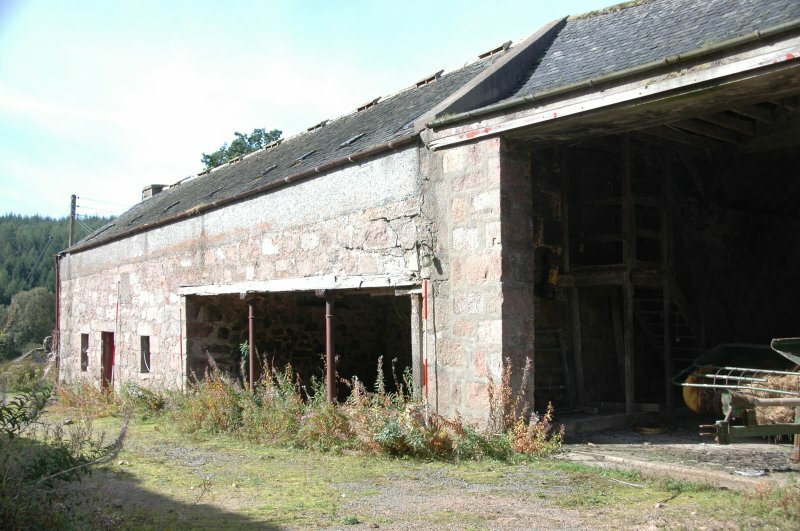 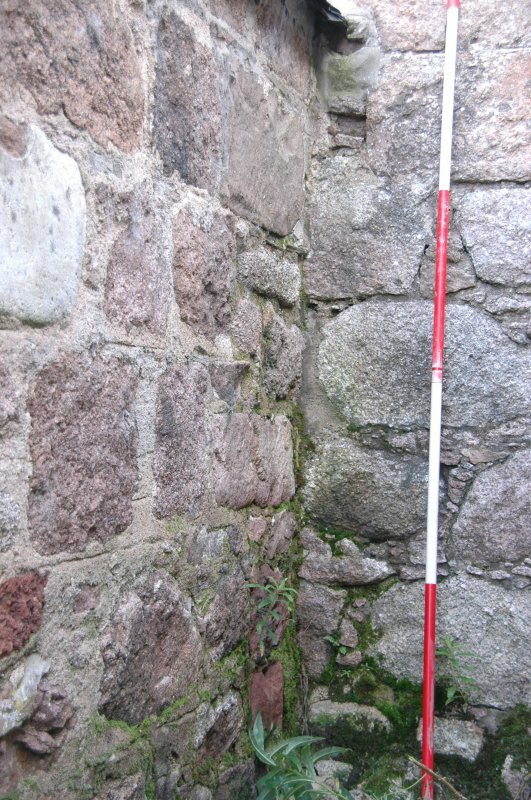 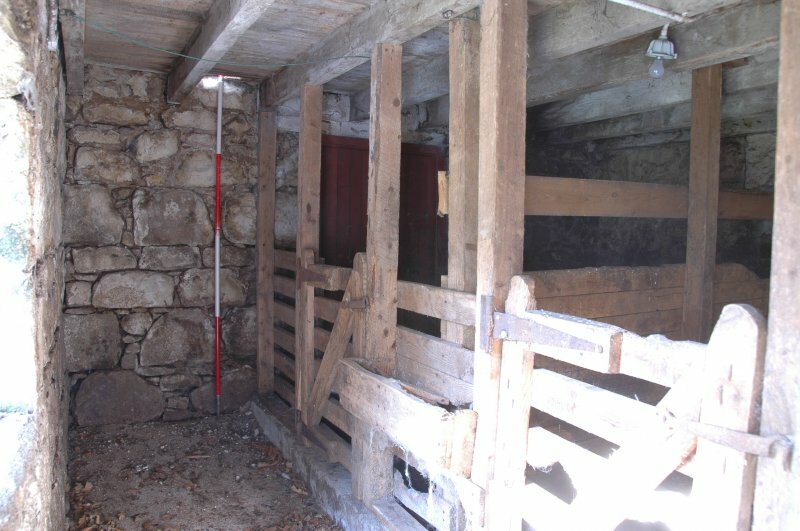 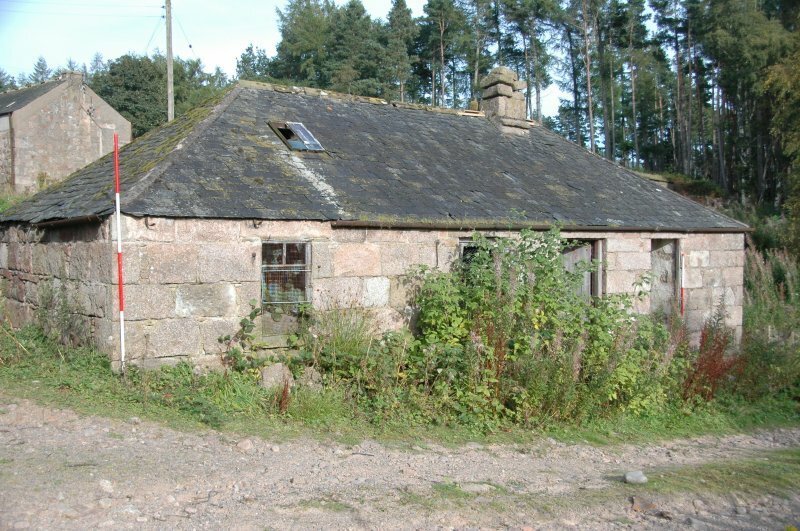 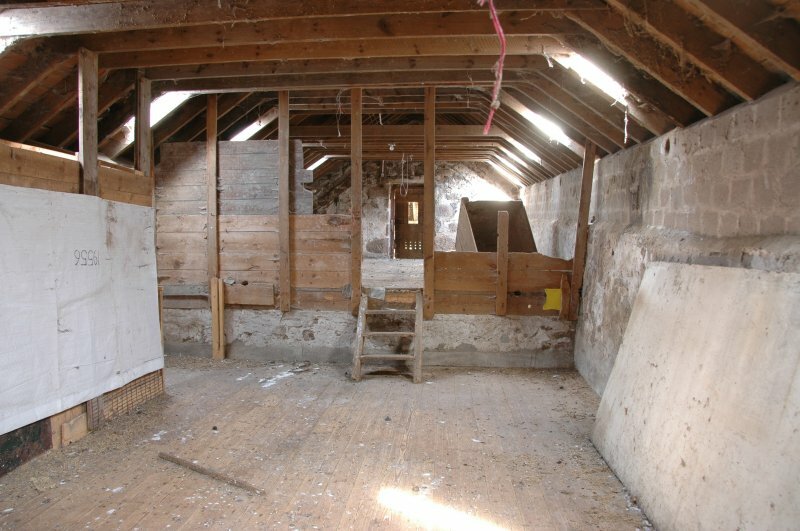 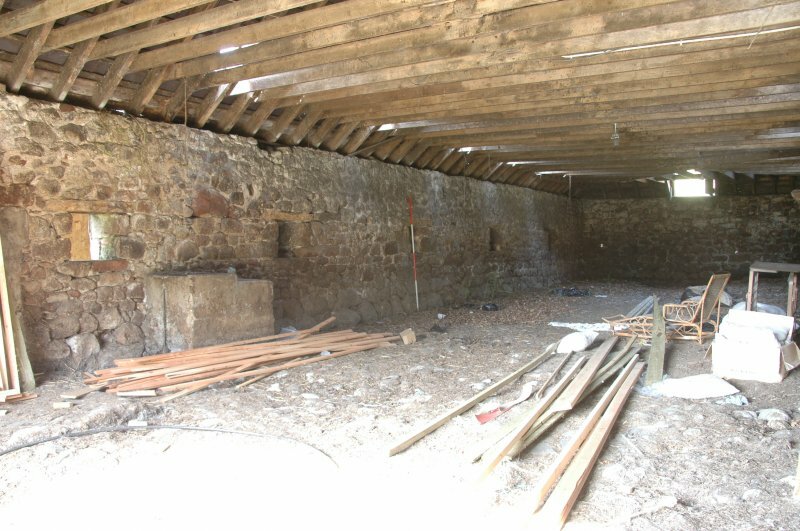 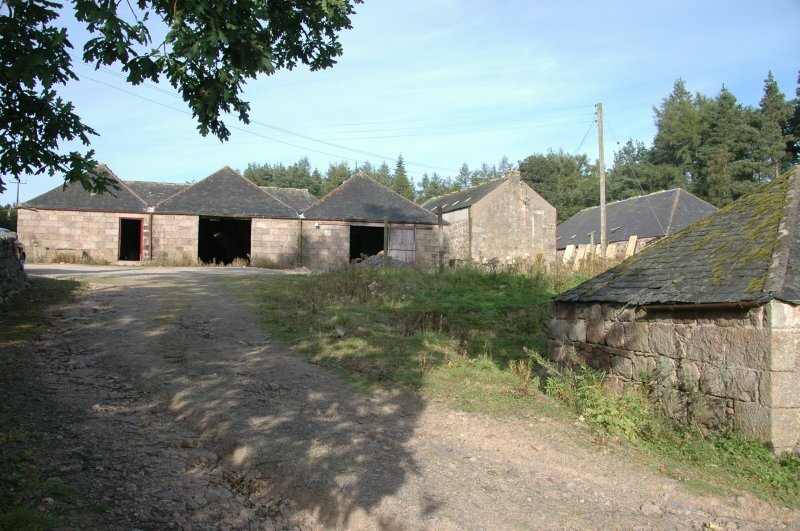 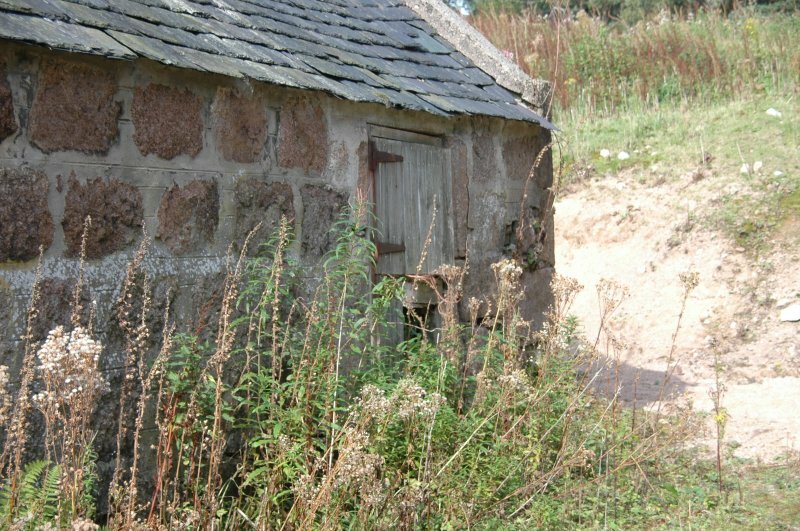 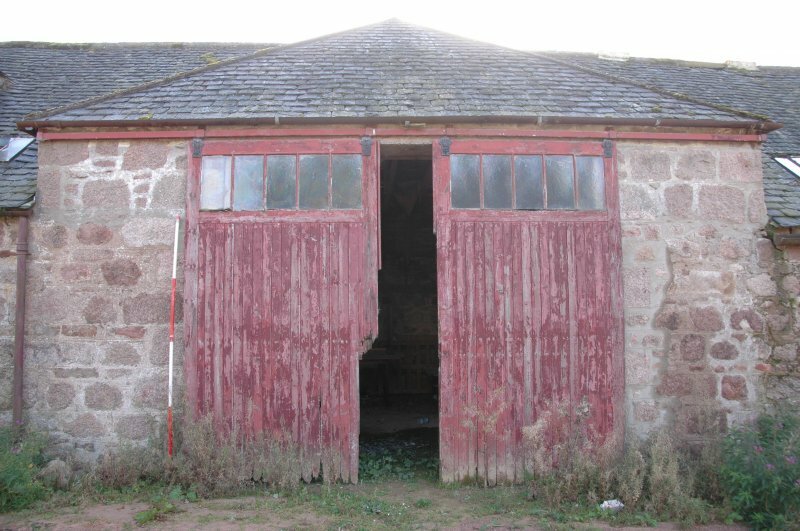 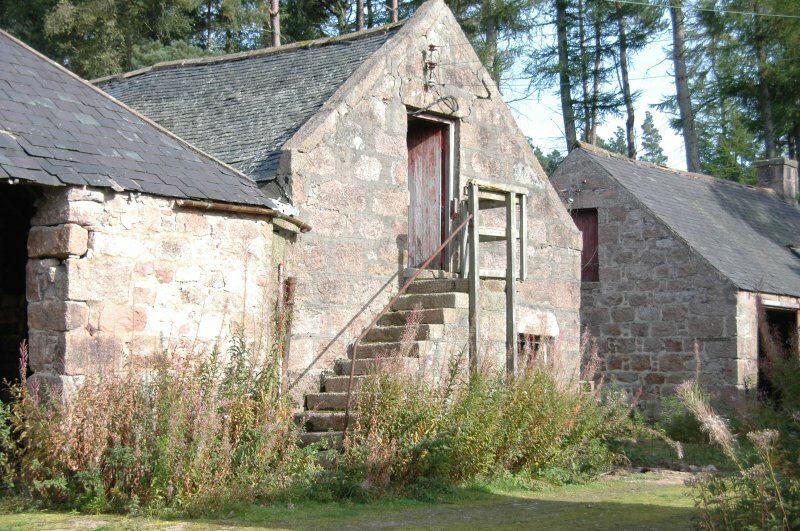 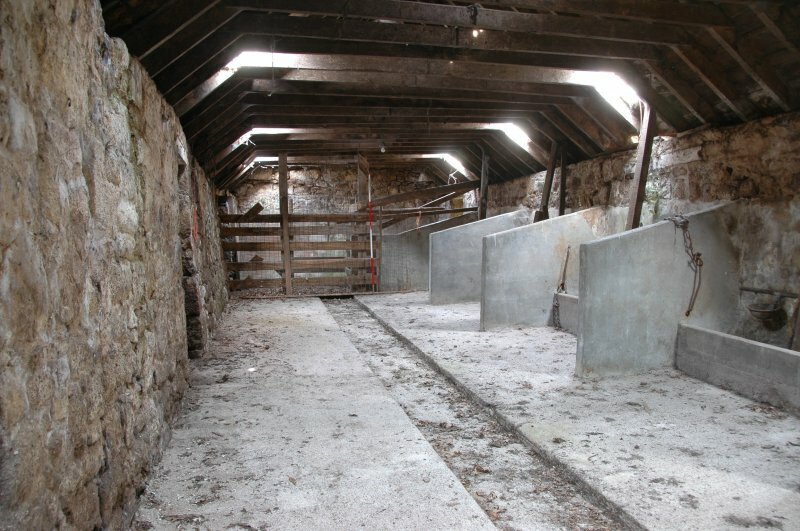 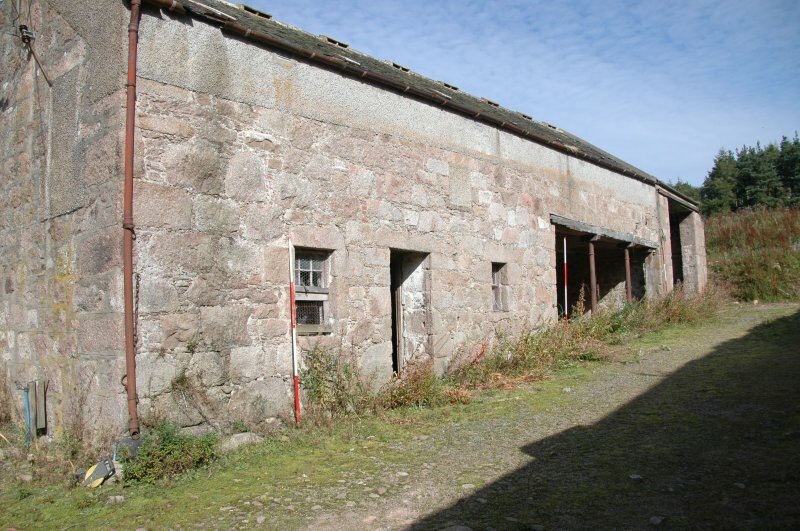 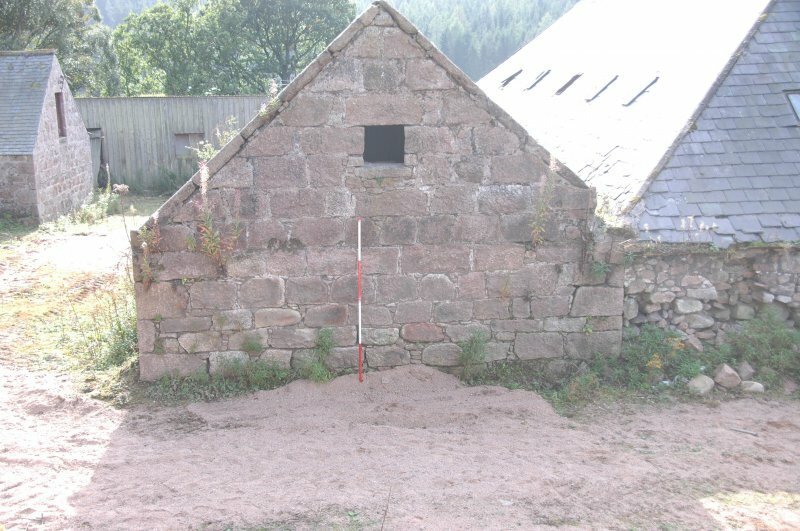 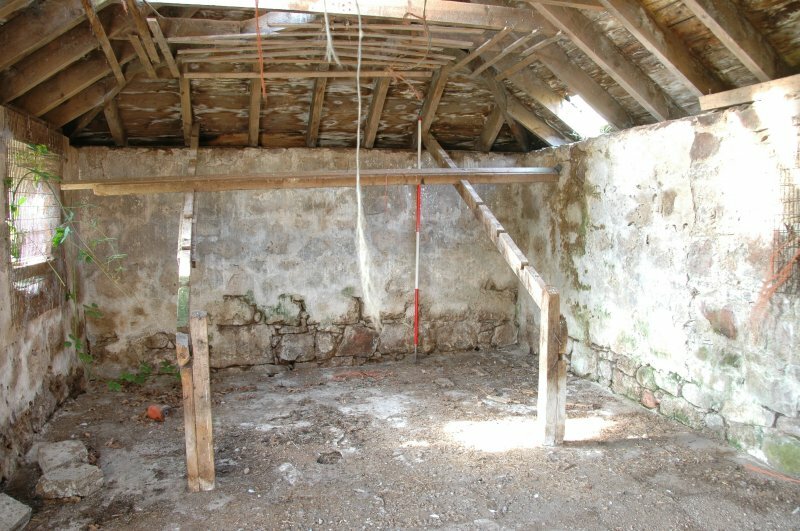 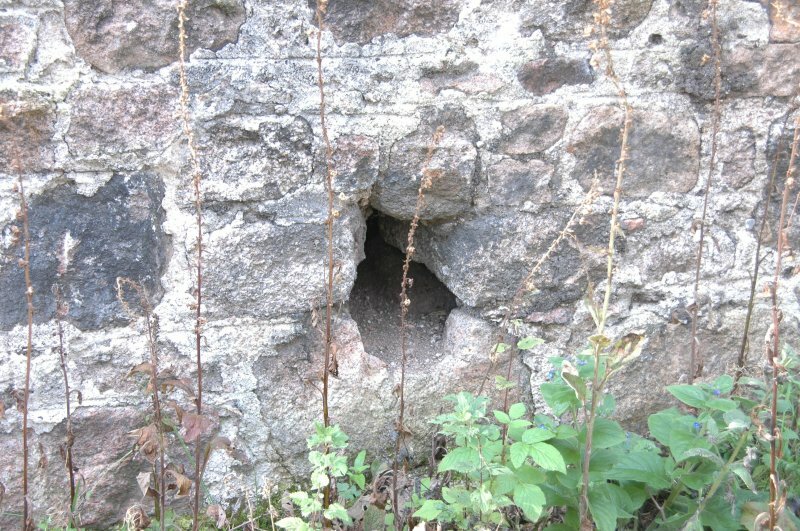 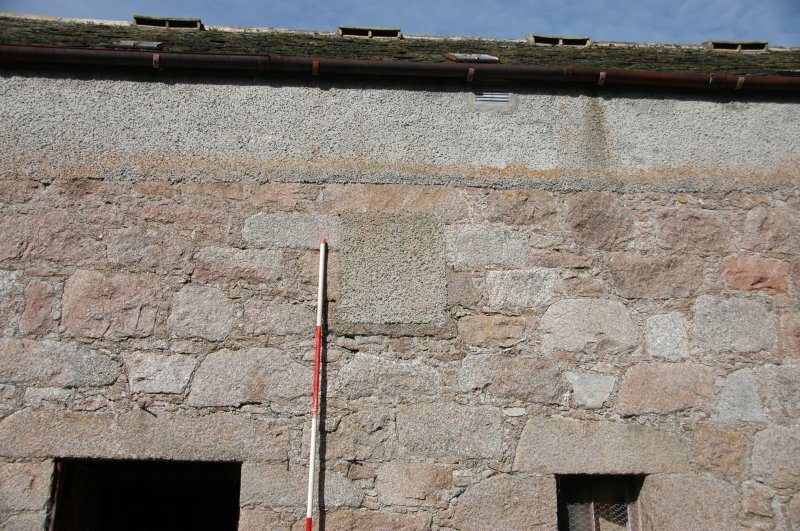 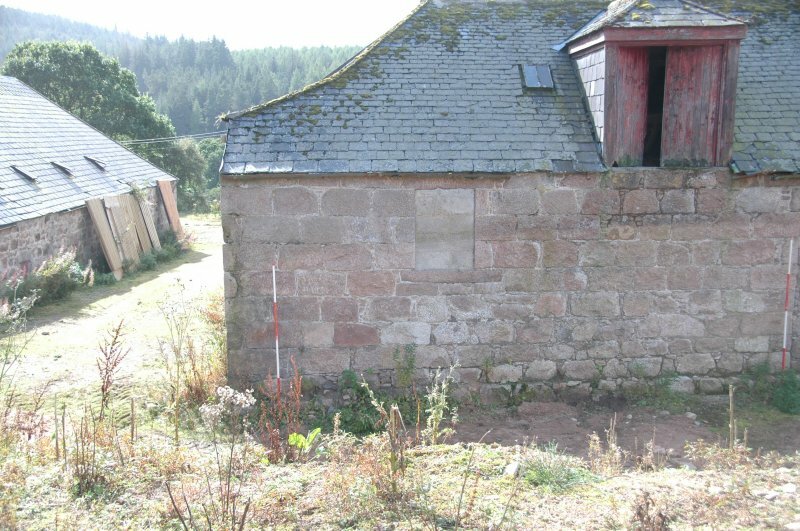 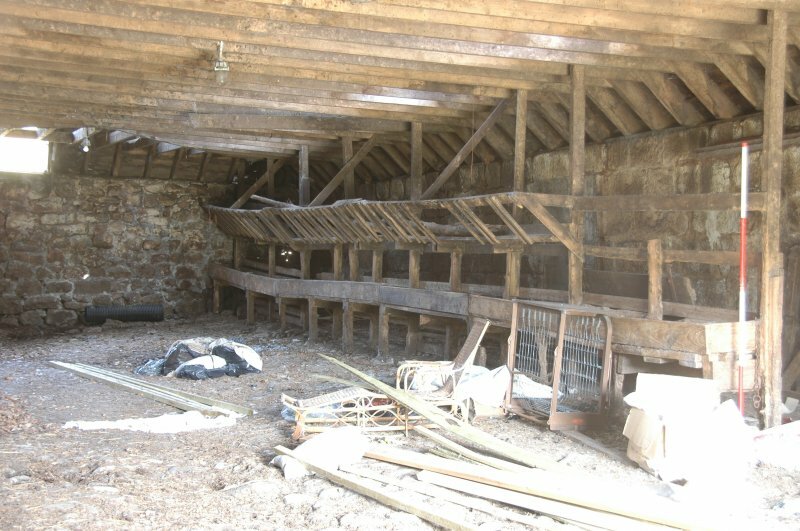 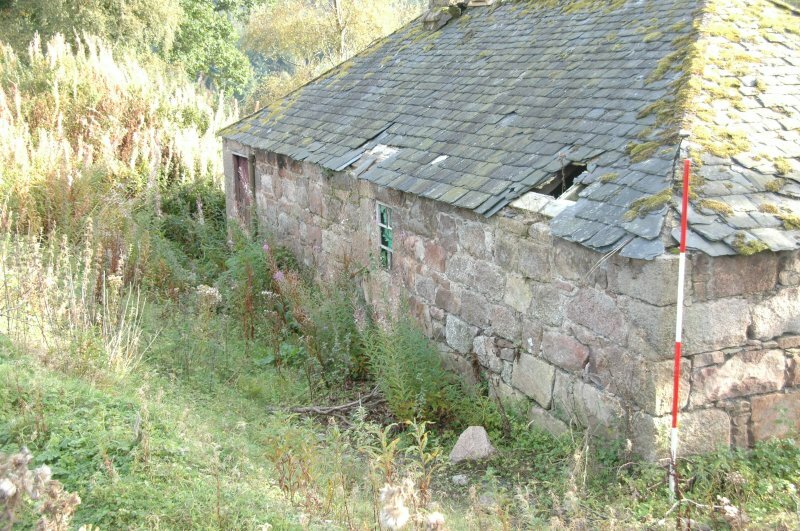 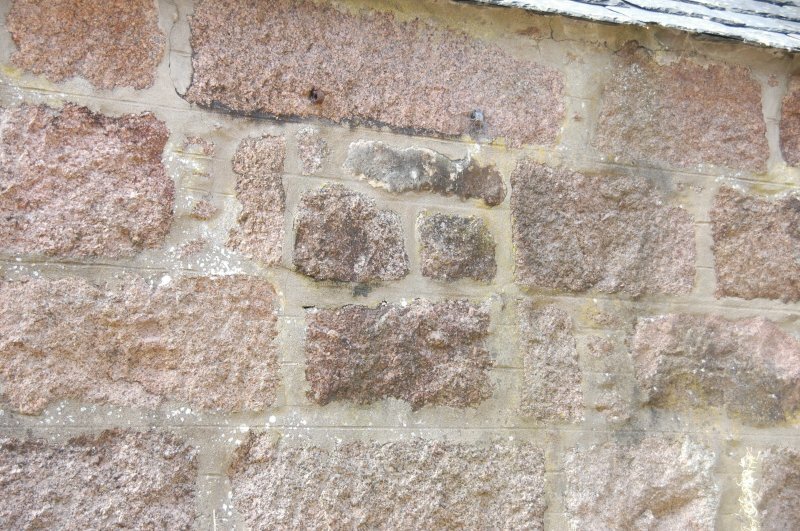 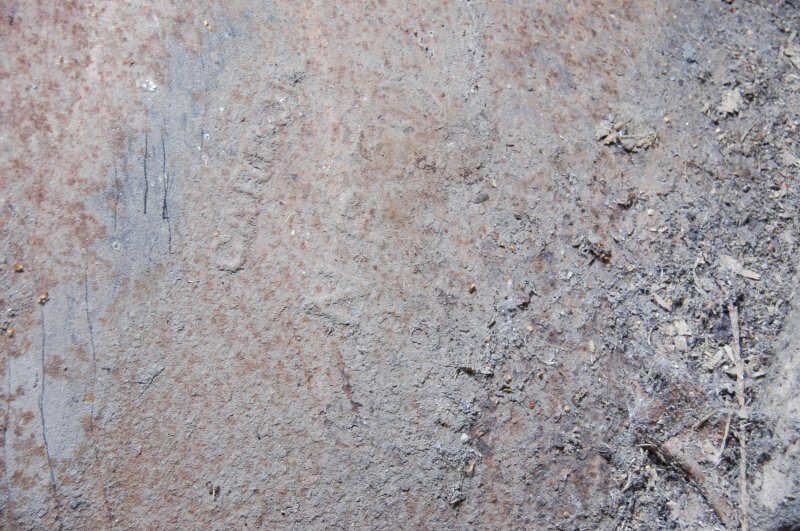 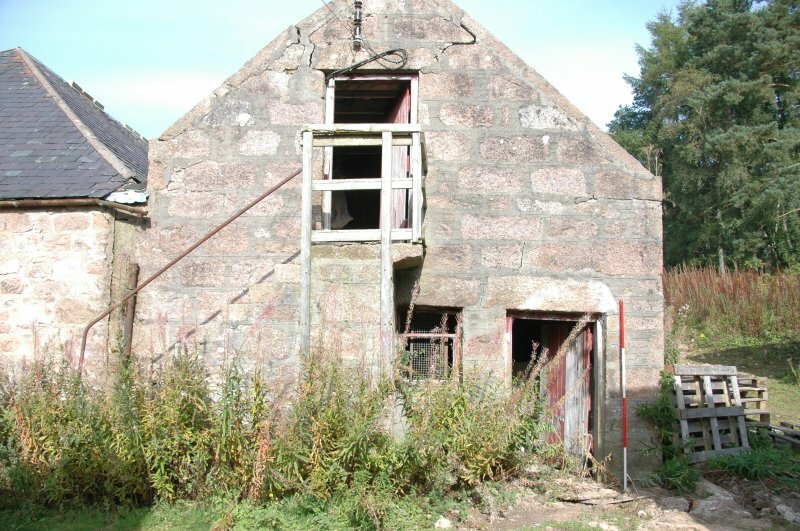 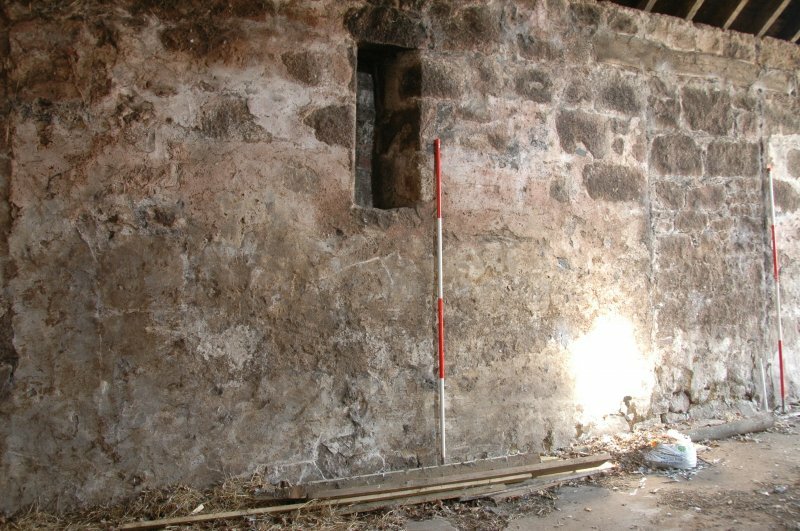 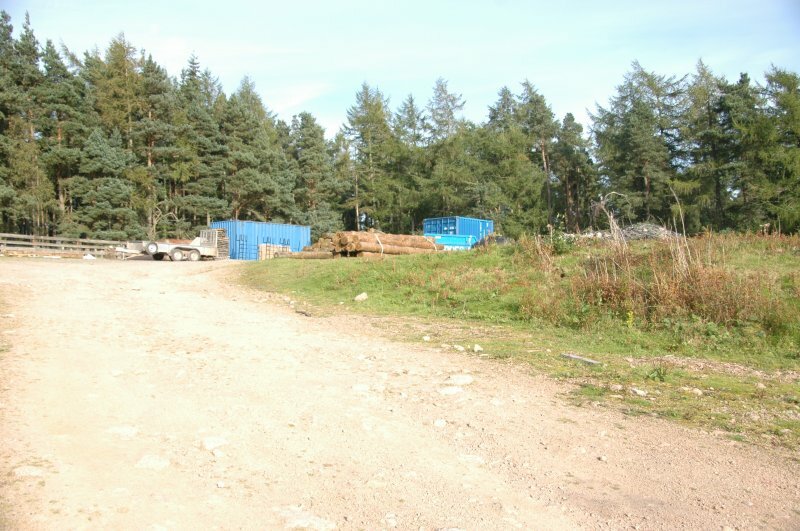 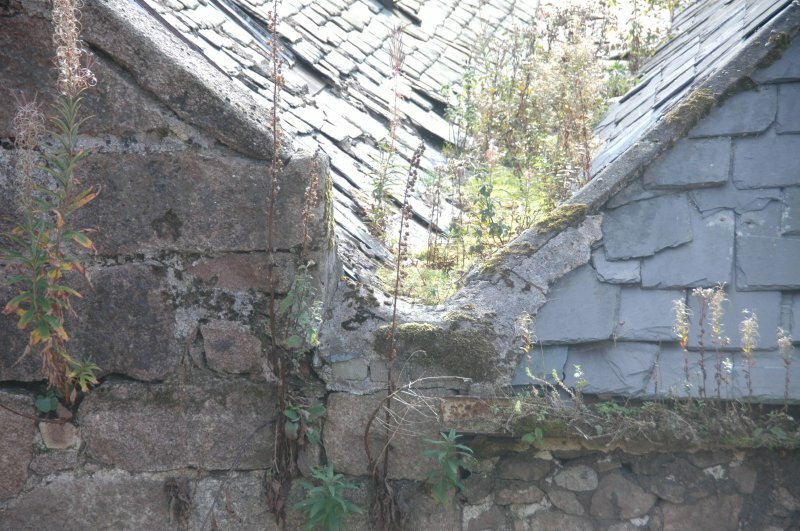 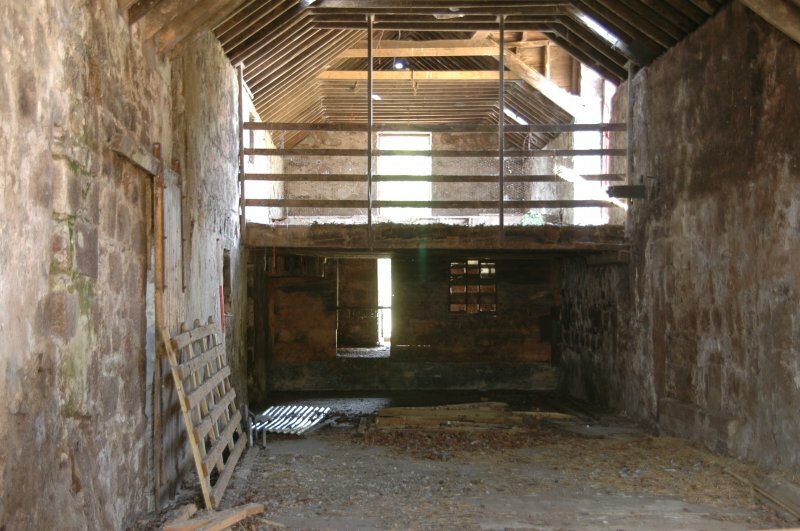 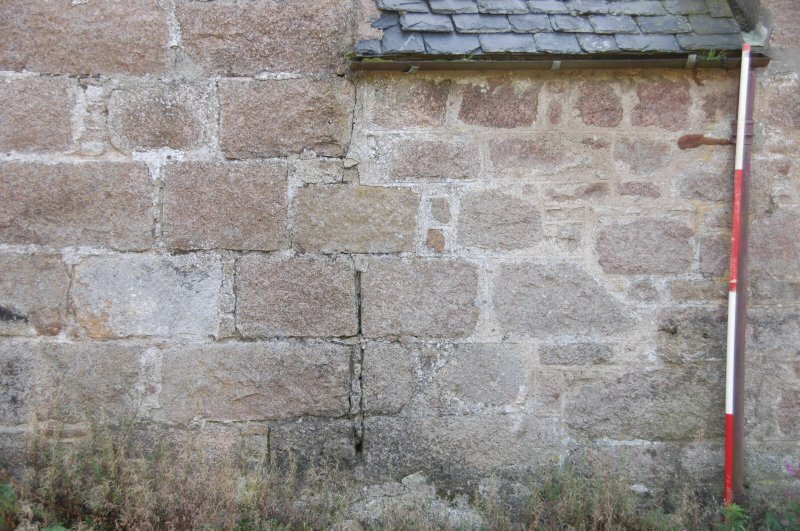 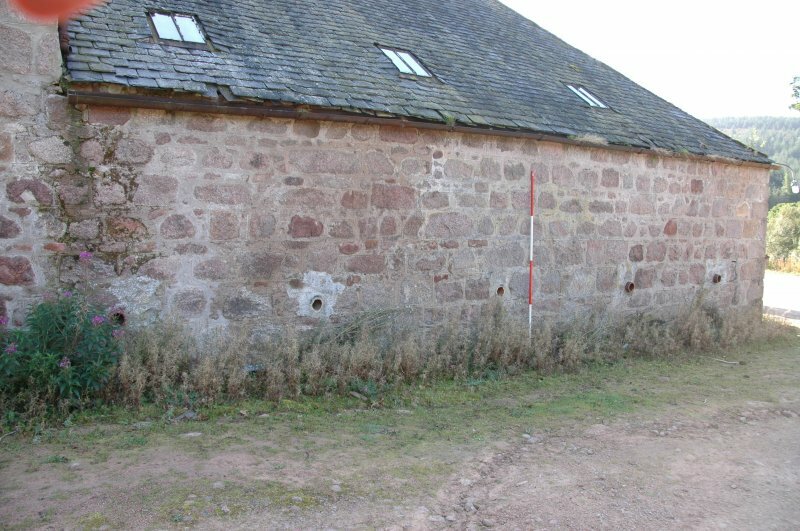 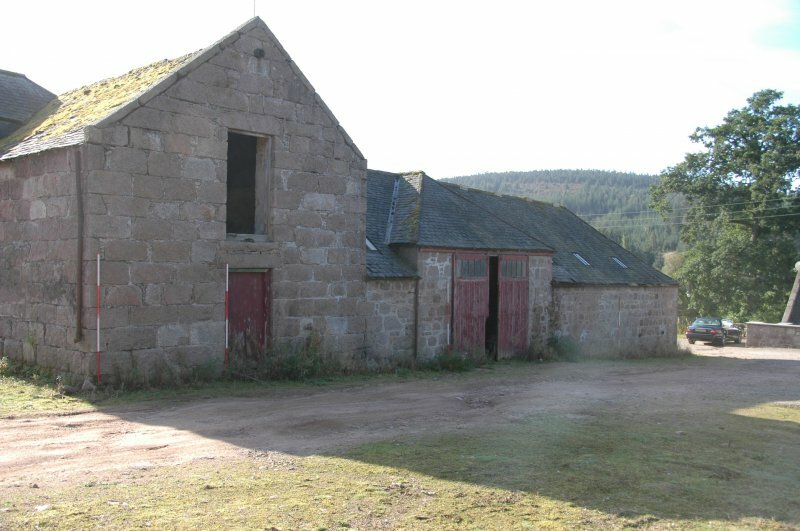 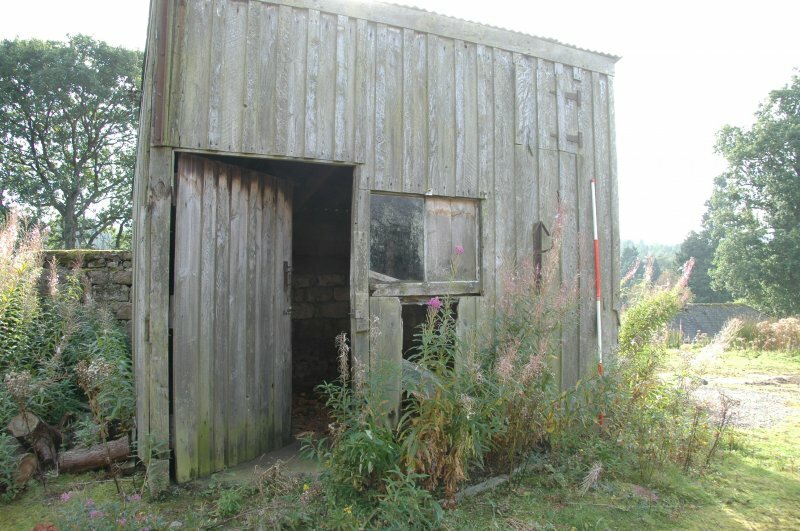 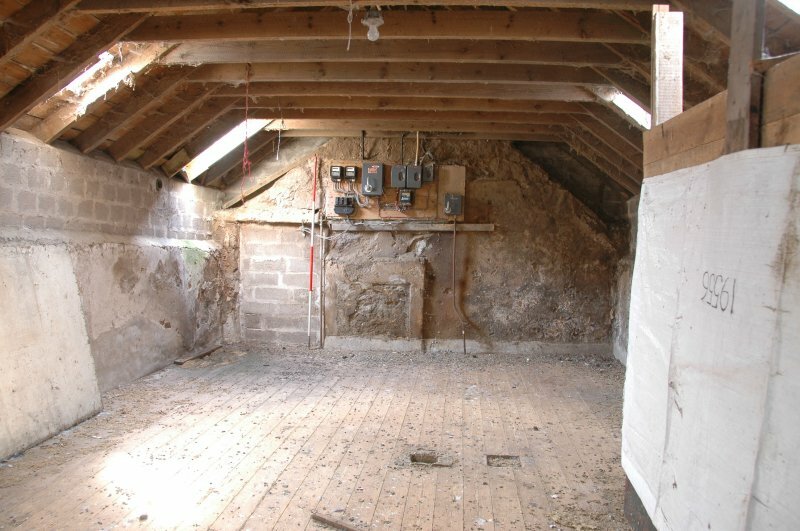 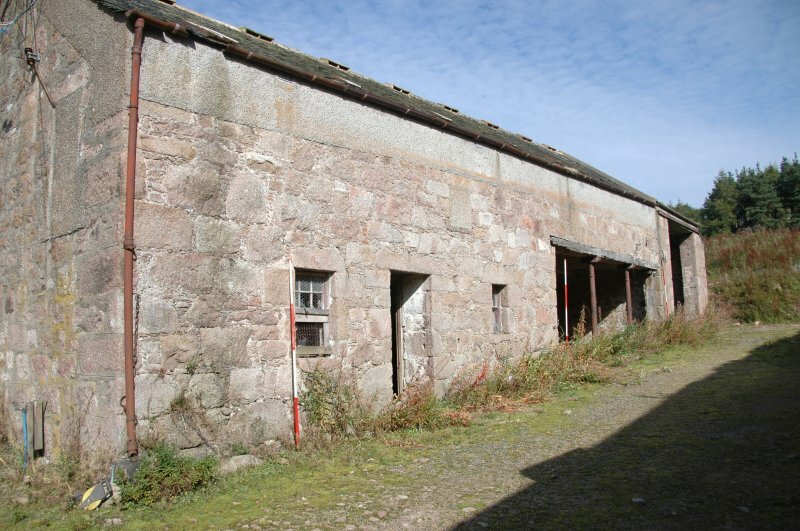 Photograph from Standing Building Recording at Glen Dye Steading, Glen Dye, Banchory, Aberdeenshire. 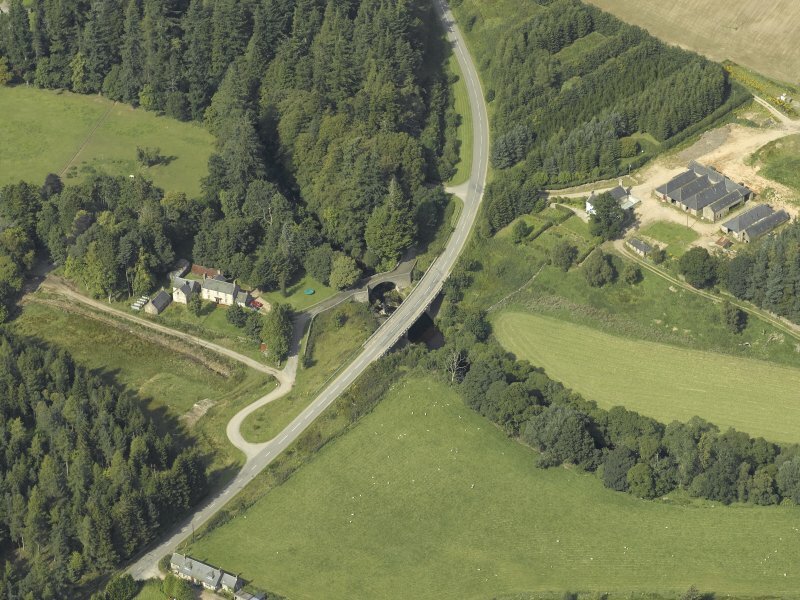 Oblique aerial view centred on the shooting lodge and road bridge, taken from the SE. 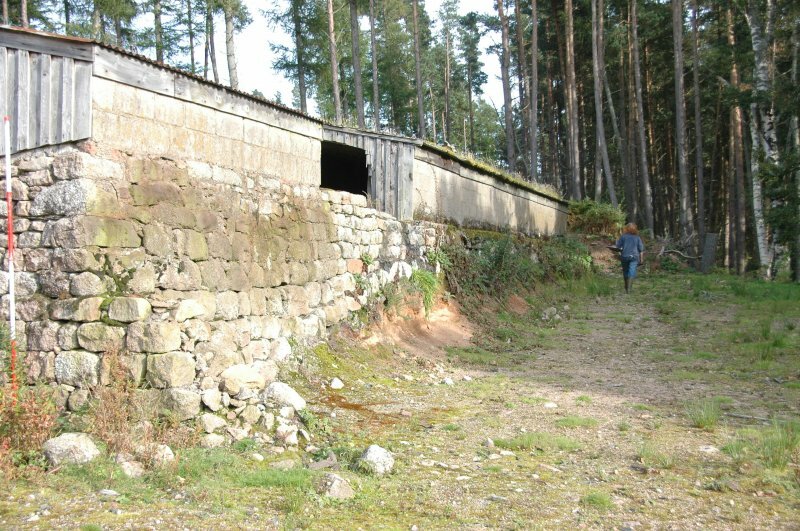 For adjacent pillboxes, see NO68NE 9. 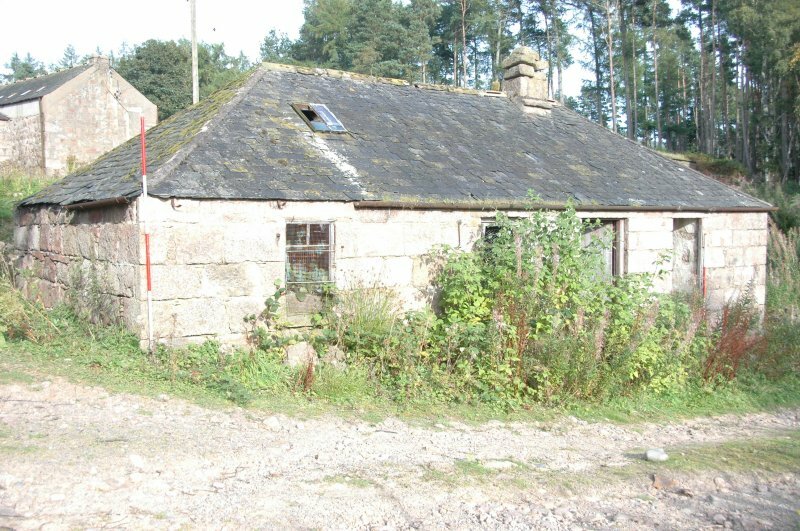 (Location cited as NO 652 861). 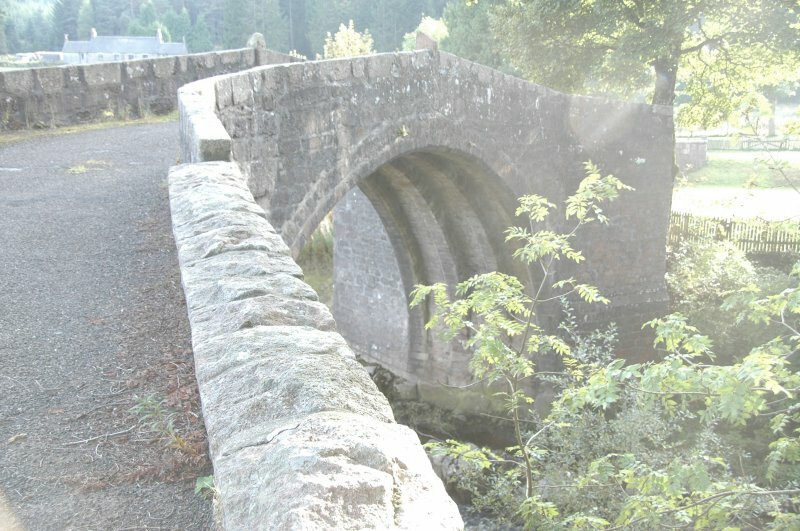 Bridge of Dye, built 1680. 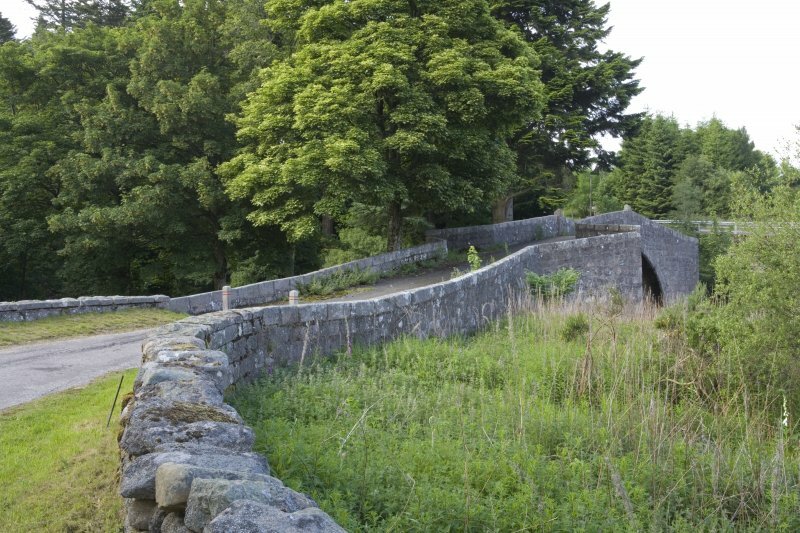 A most attractive small single-span bridge, with a four-ribbed arch of 70ft (21.3m) span. 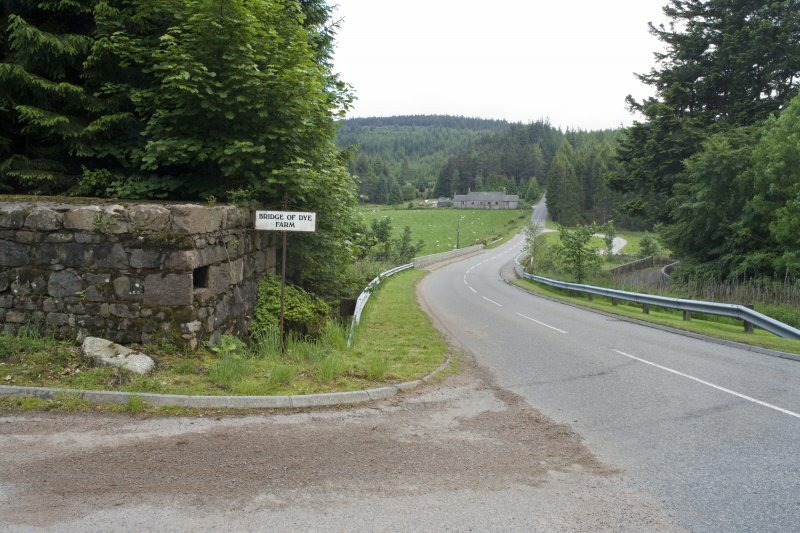 This bridge carries the B974 (Cairn o' Mounth) public road over the Water of Dye, in Glen Dye. 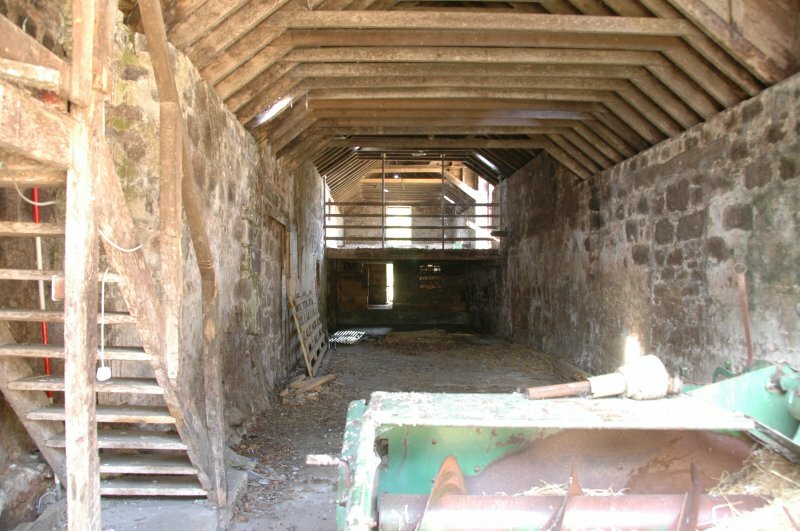 Information from RCAHMS (RJCM), 17 October 1997. 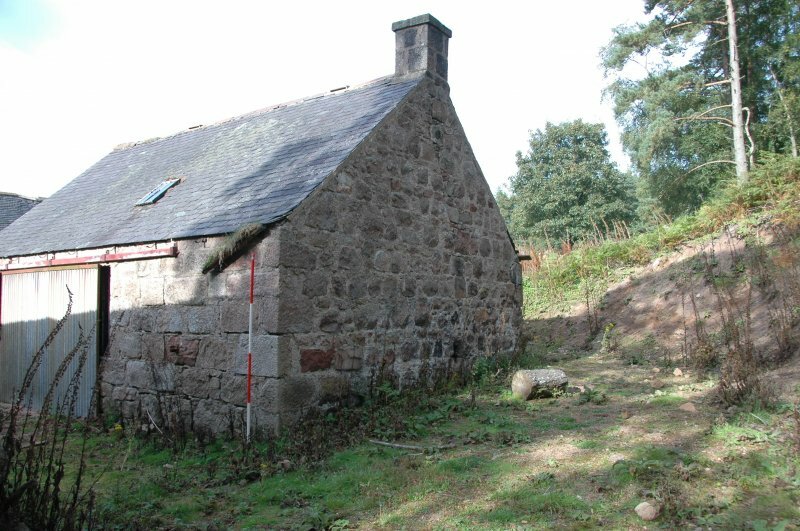 Photographic survey by the Scottish National Buildings Record/Ministry of Work in June 1963. 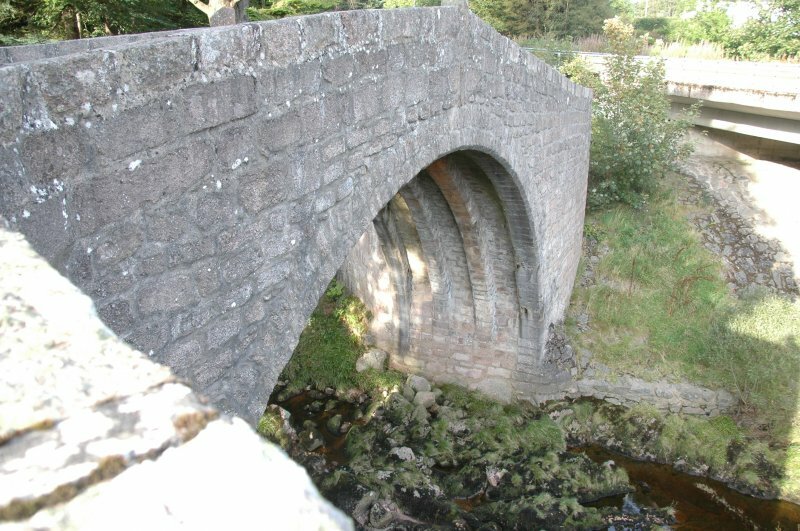 In a pre-improvement landscape where roads were scarcely cart tracks and hill roads, such as that ascending the Cairn o'Mount between the old town of Kincardine (now gone) and Strachan on the Feugh, merely hill paths, the Bridge of Dye must have been a welcome and imposing sight. 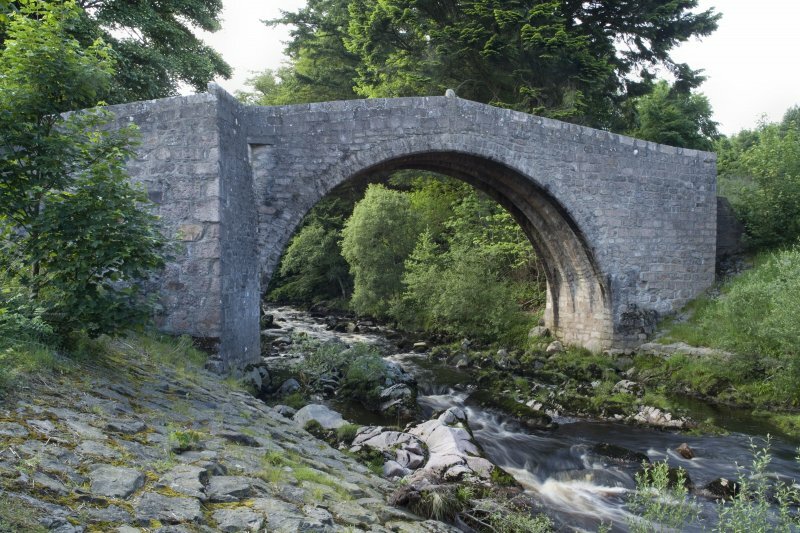 Built in 1680 with a ribbed single arch that harks back to late medieval times, this is one of the earliest bridges in the north-east. 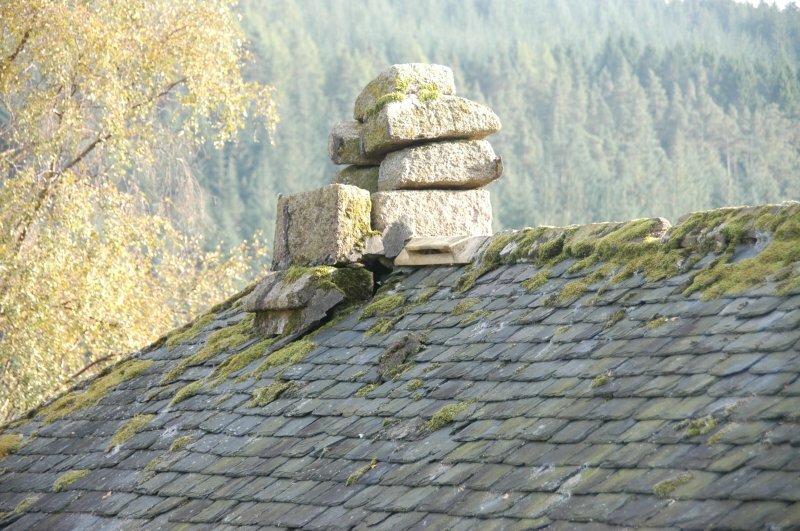 Its importance, and that of the north-south routeway on which it stands, are emphasized by an act of1681 that permitted tolls to belevied for its upkeep. 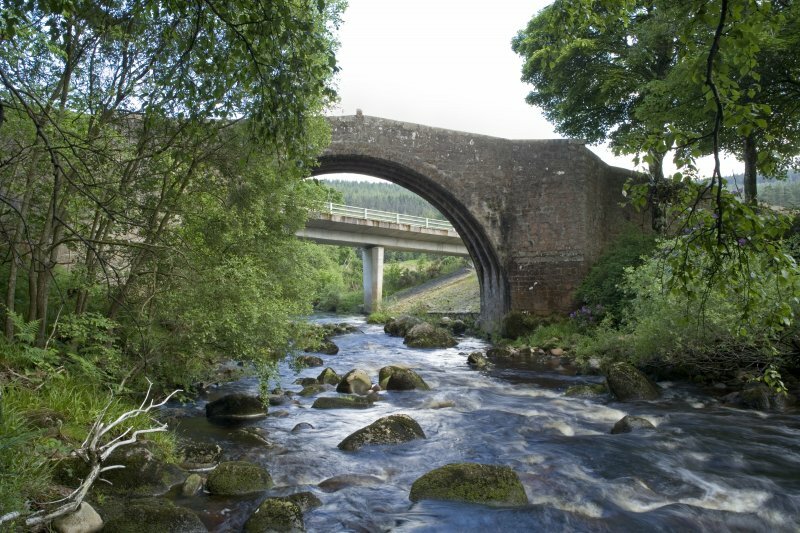 Built in 1680 with a ribbed single arch thar harks back to late medieval times, this is one of the earliest bridges in the North-east. 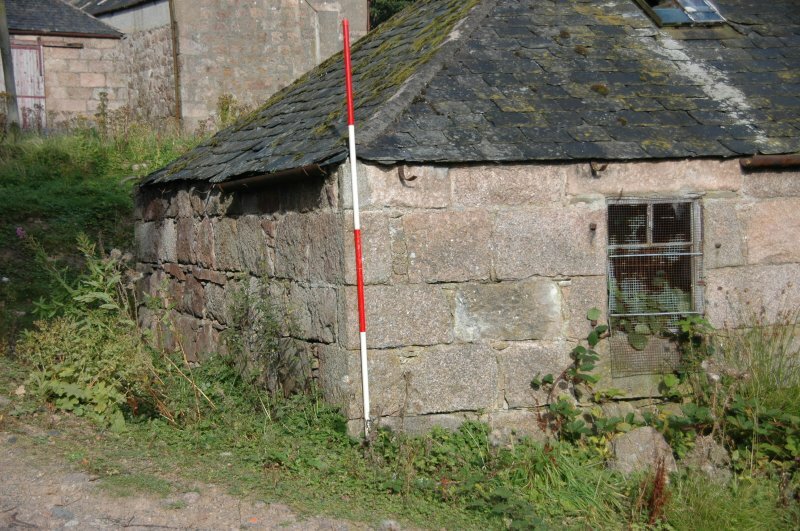 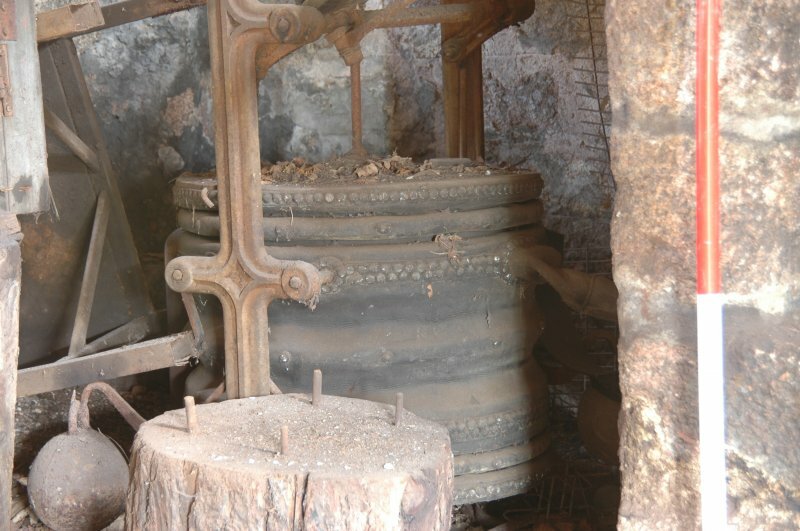 Its importance, and that of the north-south routeway on which it stands, are emphasized by an act of 1681 that permitted tolls to be levied for its upkeep. 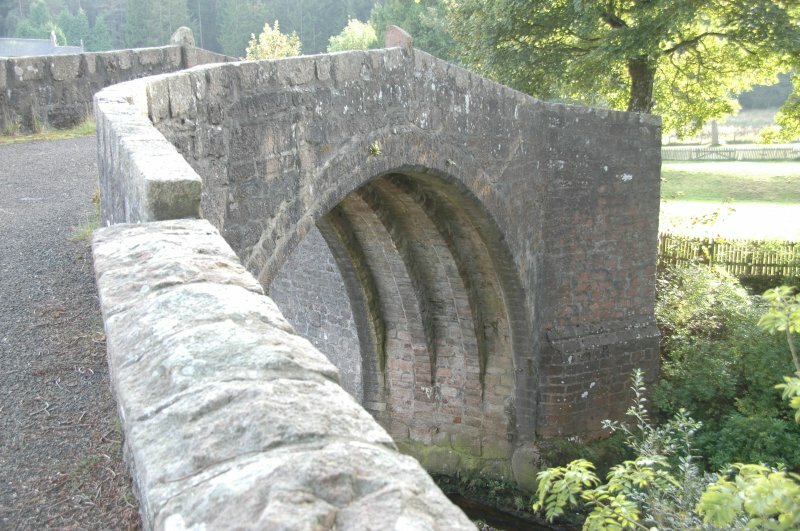 The Bridge of Dye, built in ca.1680, crosses the Water of Dye with a single semicircular arch of 43 ft span. 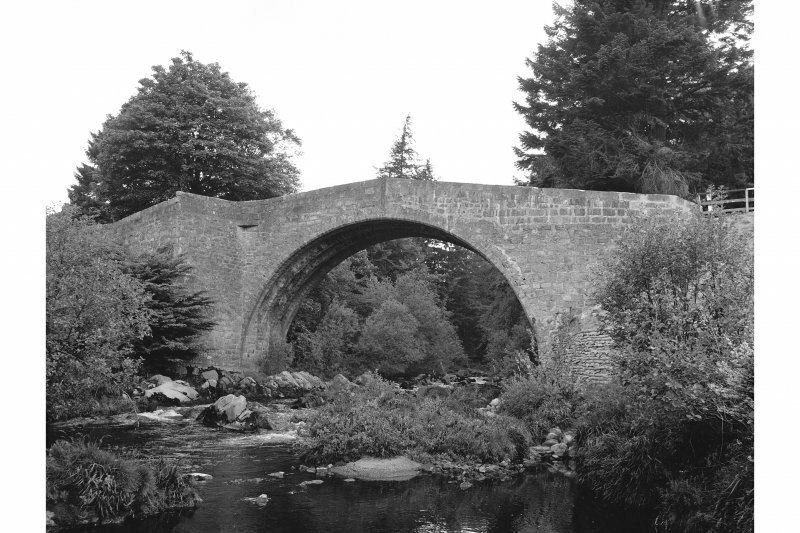 The bridge, the second oldest on Deeside, was an important improvement on the line of the Cairn o’ Mount section of the old military road between Edinburgh and Fochabers. 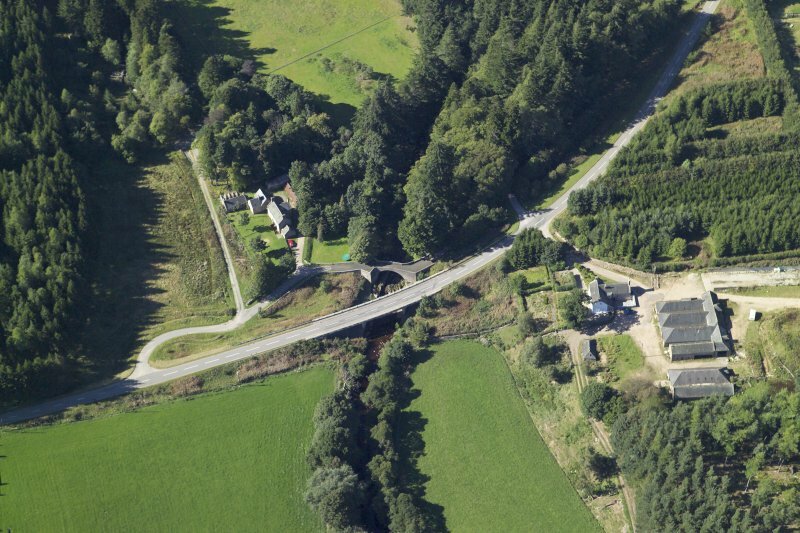 It has recently been bypassed by a new bridge alongside carrying the B974 road. 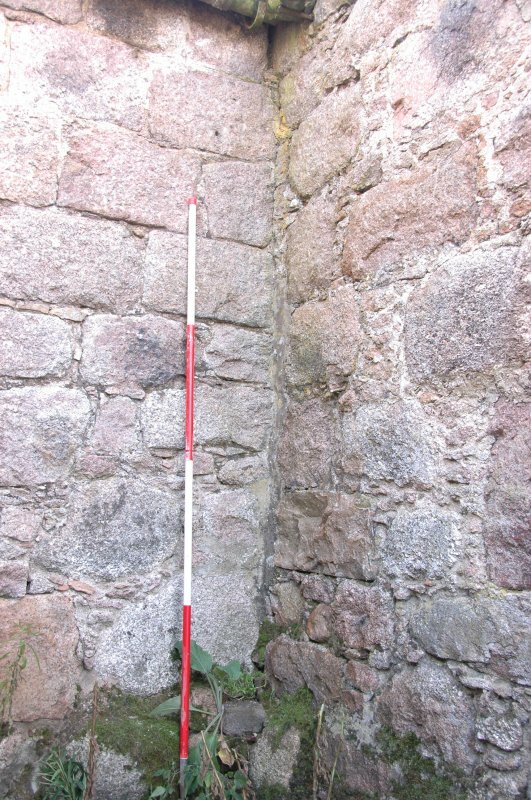 The arch is constructed of roughly dressed masonry and, in the manner of the Bridge of Dee at Aberdeen, is supported on stone ribs, in this case by four ribs spaced 212 ft apart. 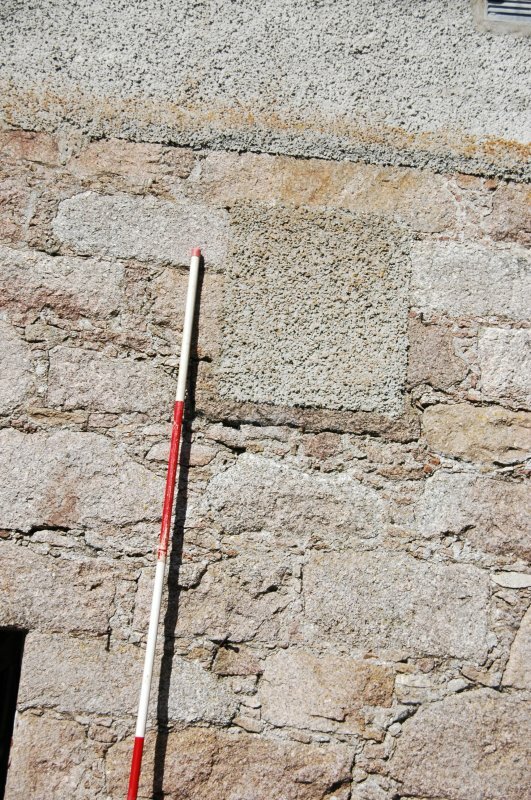 The roadway is 11 ft 8 in. 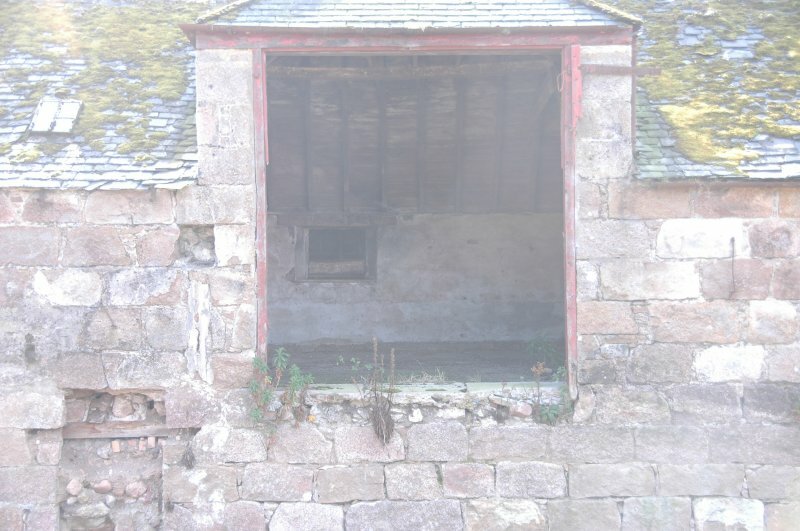 wide between parapets. 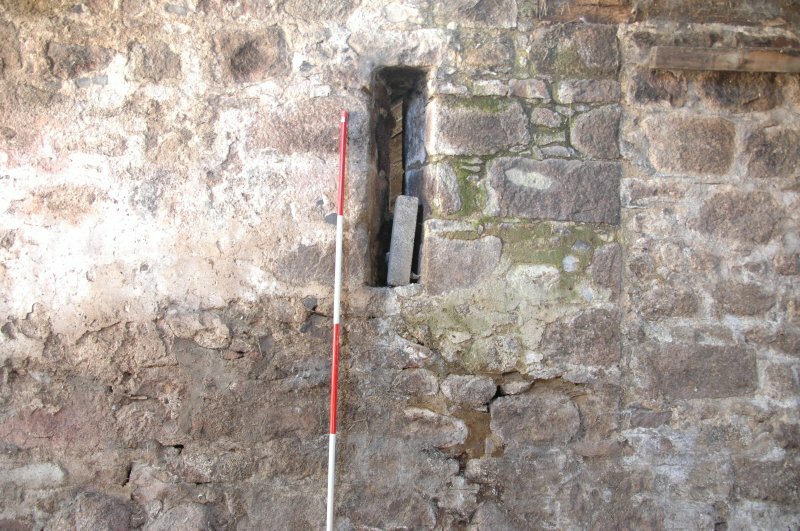 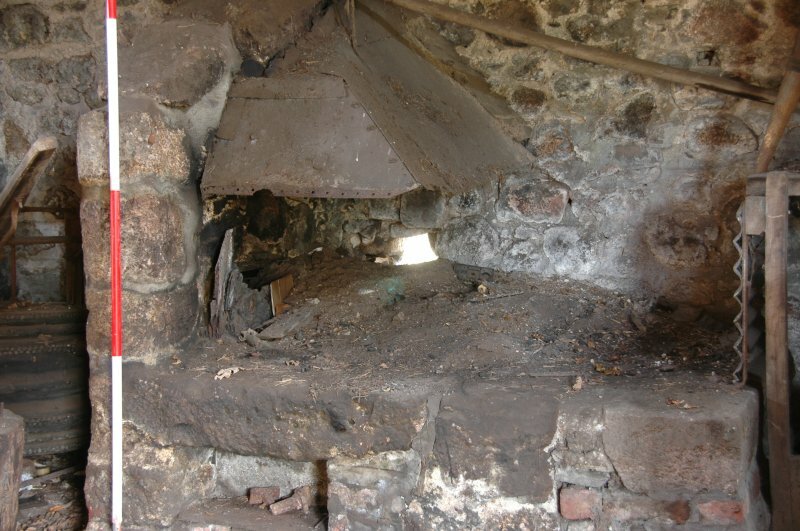 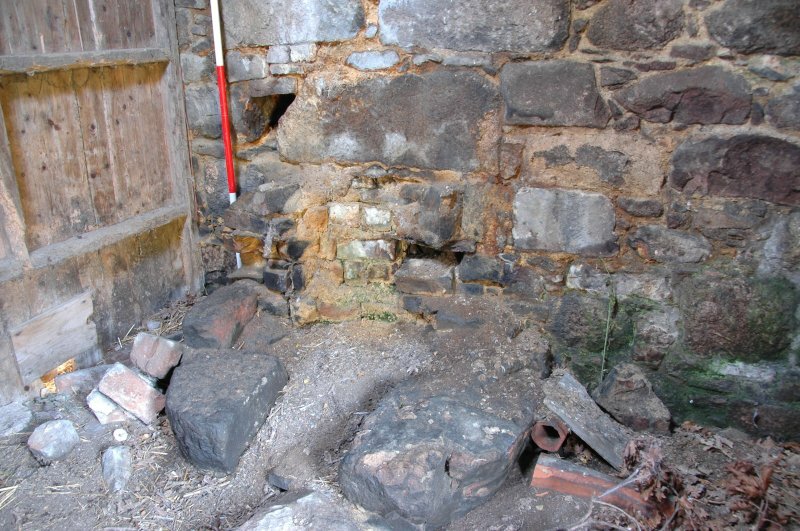 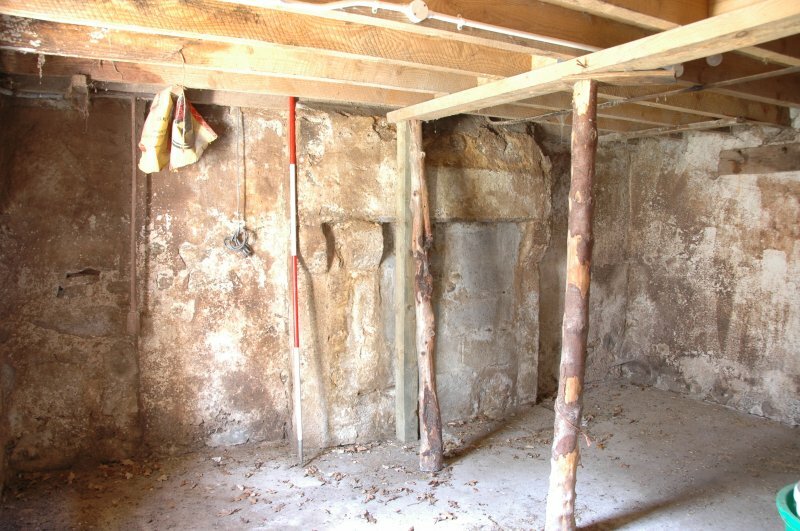 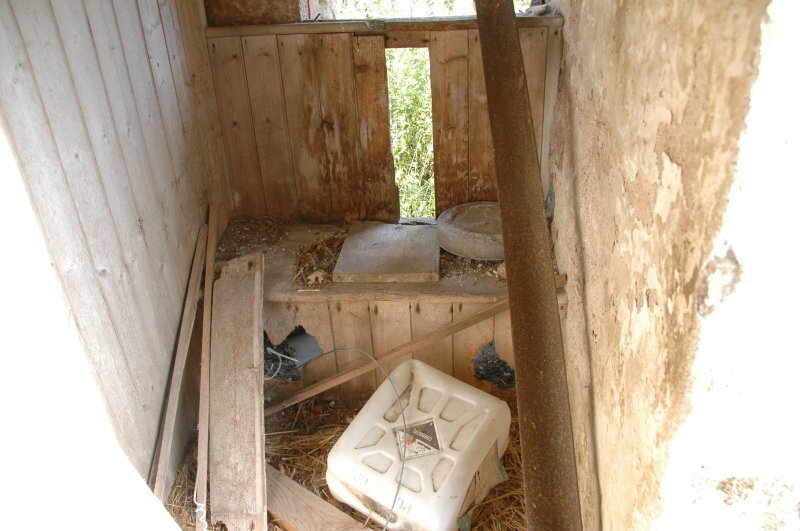 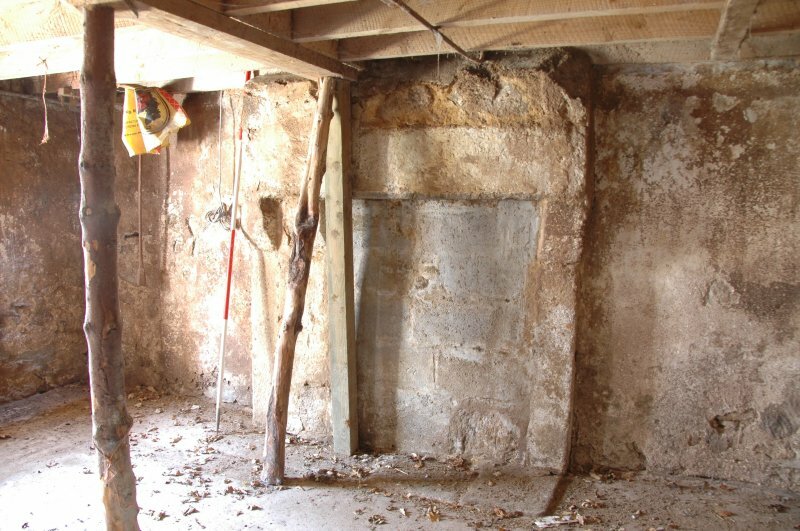 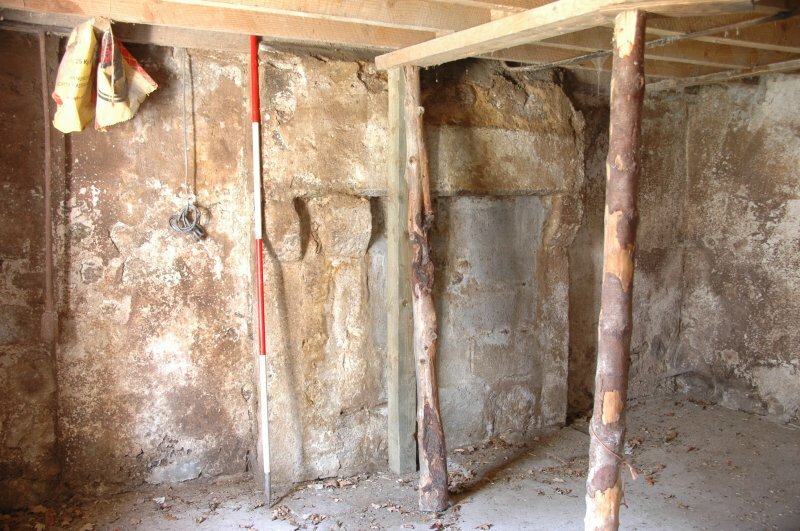 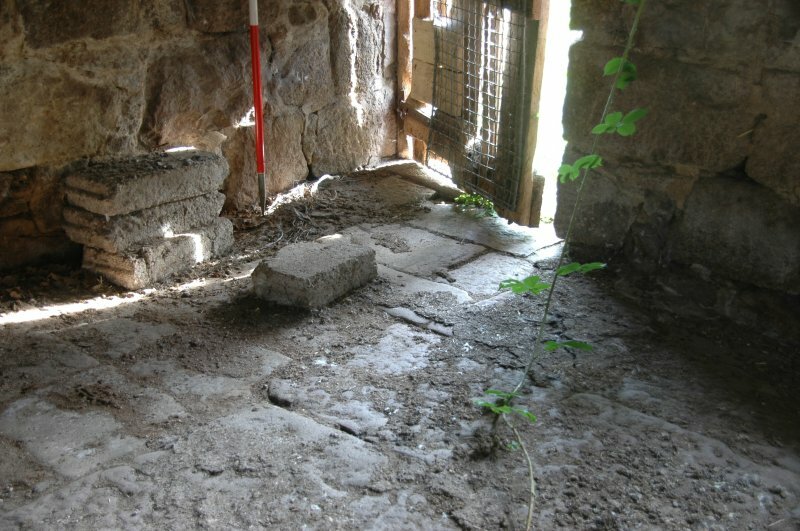 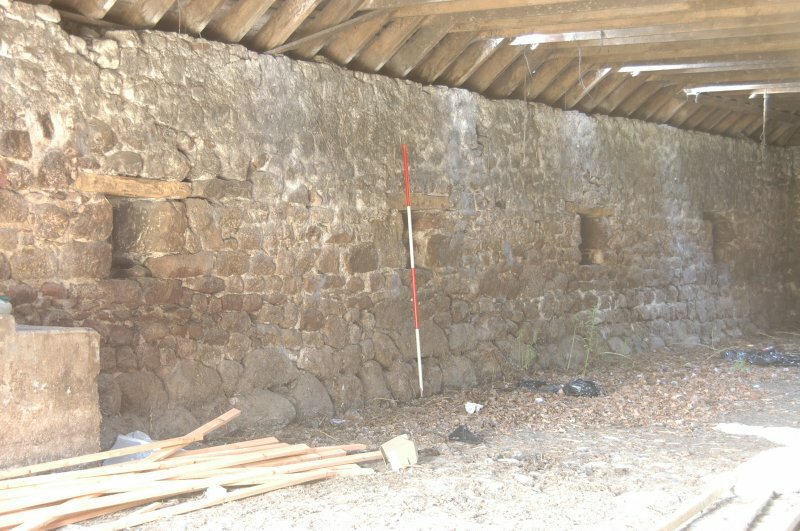 small mid-19th-century building is interpreted as a washhouse with a circular hearth below traces of a hanging lum. 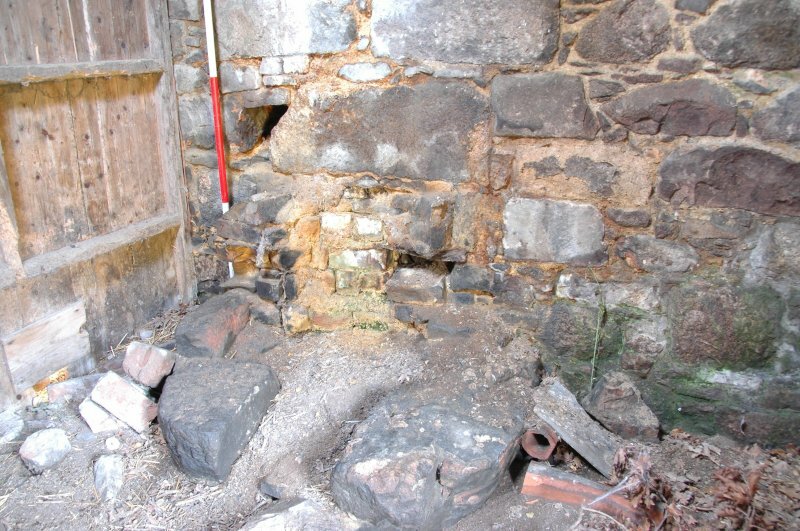 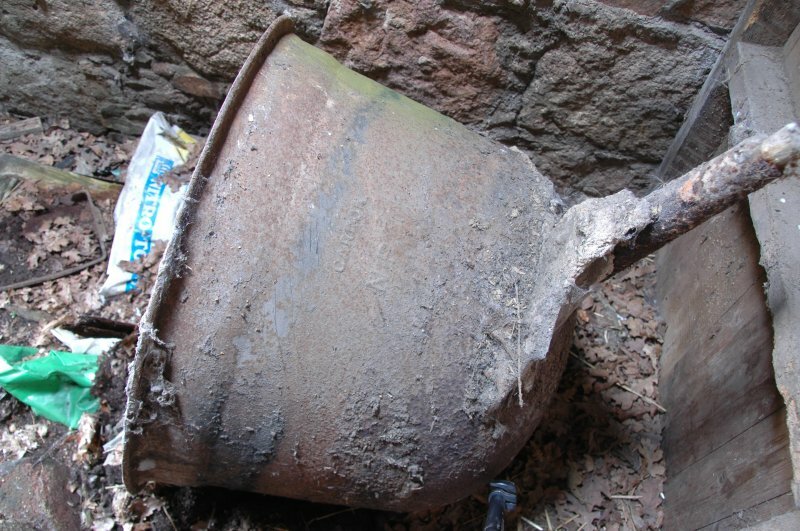 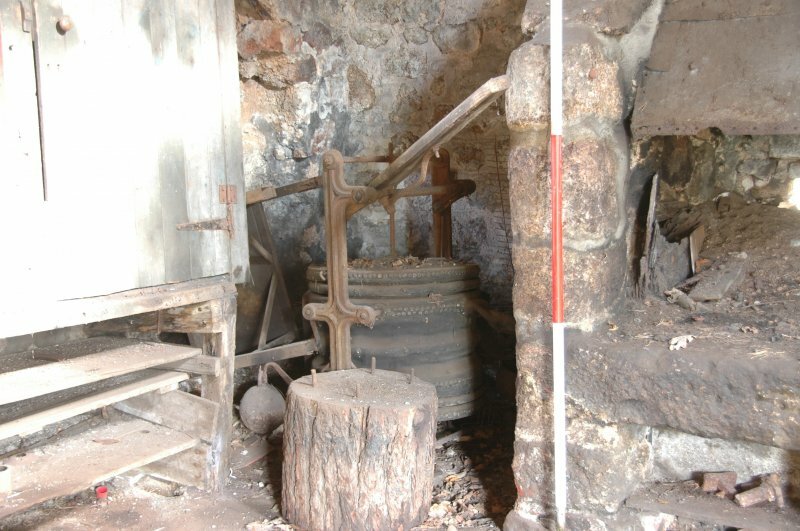 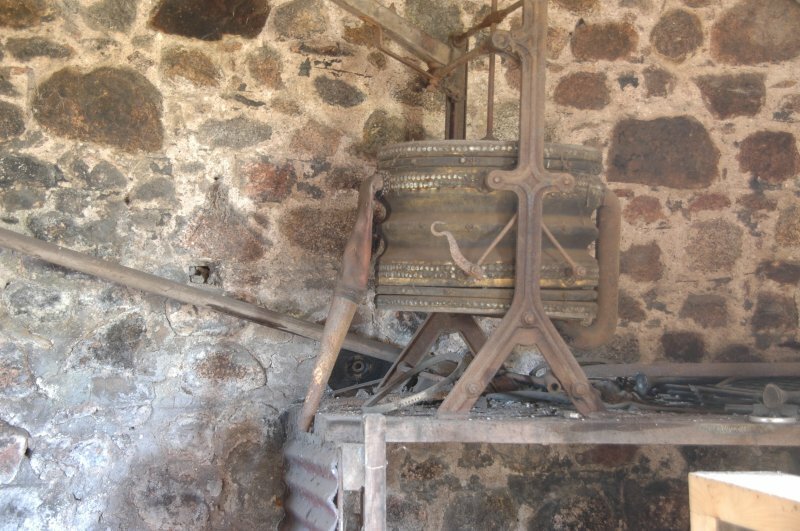 A large cast iron pot made in the Carron ironworks and c550mm in diameter with a spout appears to have been a boiler used on the hearth.